It’s a designation that Barcelona and Miami hold with pride; it’s something that New Orleans and Tokyo wish they had. 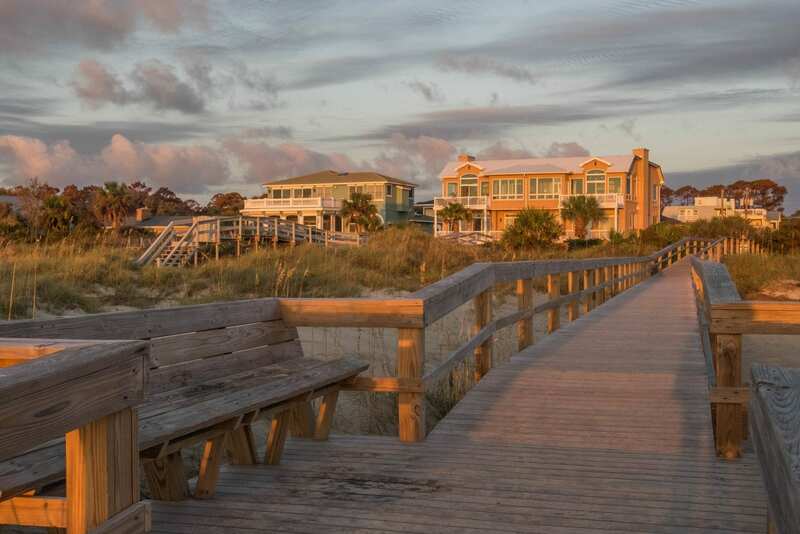 Having beach access elevates your city several rungs on the best-place-ever index. Savannah, Georgia, is one of my favorite cities in the world. 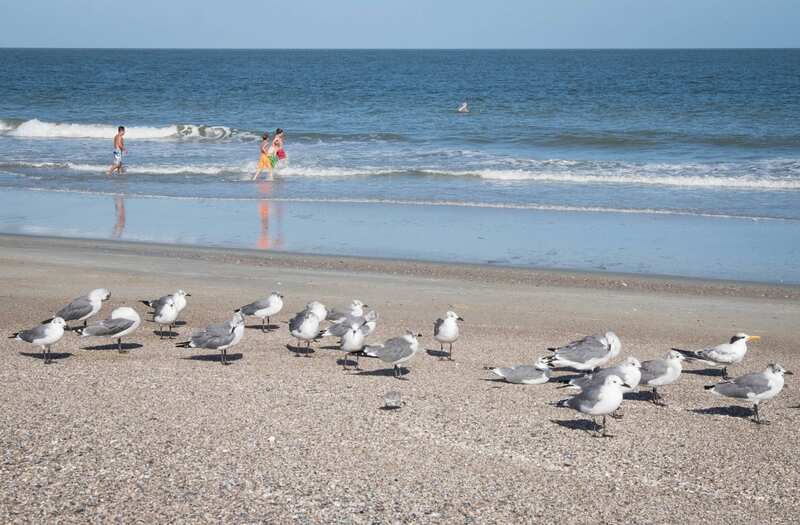 And it just so happens to have a beach: Tybee Island. I’ve known about it for a long time — even suggesting a visit in my three-day Savannah itinerary — but I’ve never actually been. 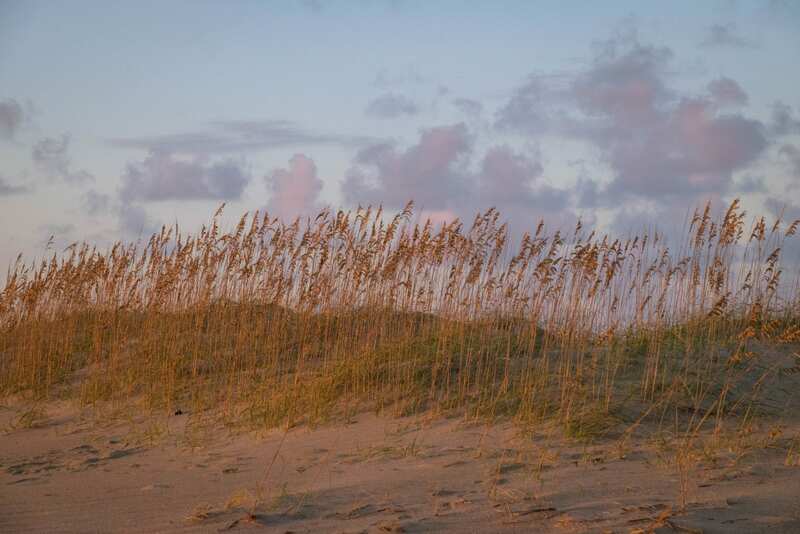 This month, Visit Tybee Island invited me to Tybee to experience it as a standalone destination. 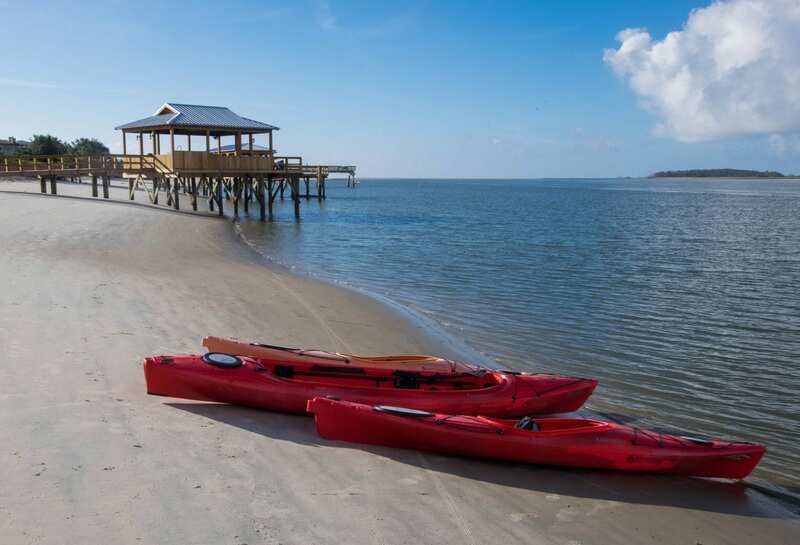 A little visit to Savannah would be worked in, of course, but the main goal would be to experience Tybee on its own, not as a side trip. I went and discovered a throwback island, a quirky island, an island filled with beautiful nature and colorful houses and very friendly people and the best sunrises I’ve seen in years. 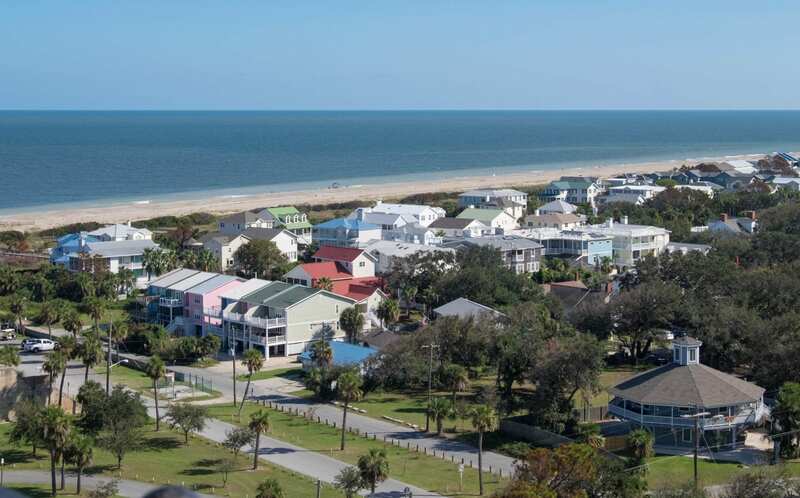 This is Tybee. When I stepped off the plane, I was met by a wave of heat. 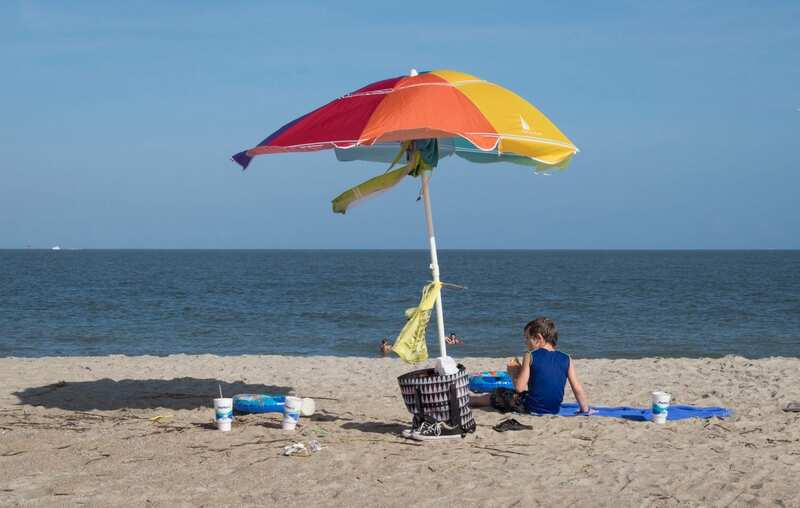 For all my days in Tybee, the temperature was in the mid-eighties with high humidity — a big change from New York, where a recent cold spell had my friends doing emergency harvests to save their tomatoes. It felt incredible to step back into summer. When out at night, I didn’t even need a cardigan. 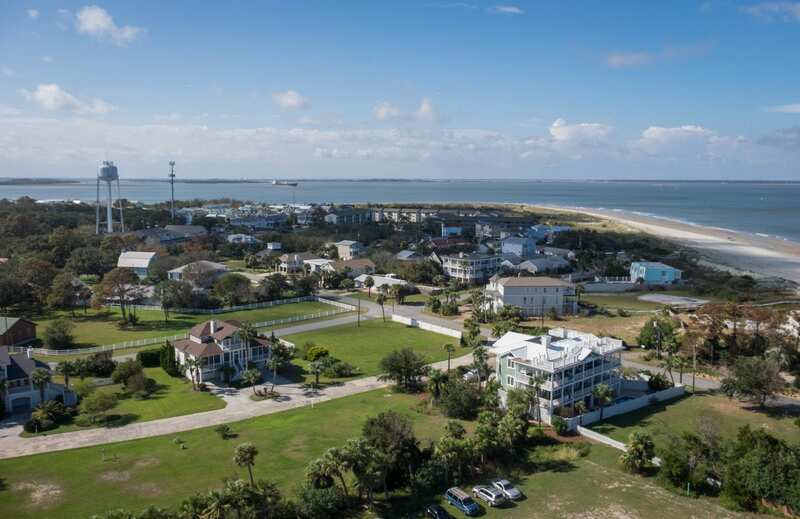 But you wouldn’t know it from looking at the beach — look at all that space! 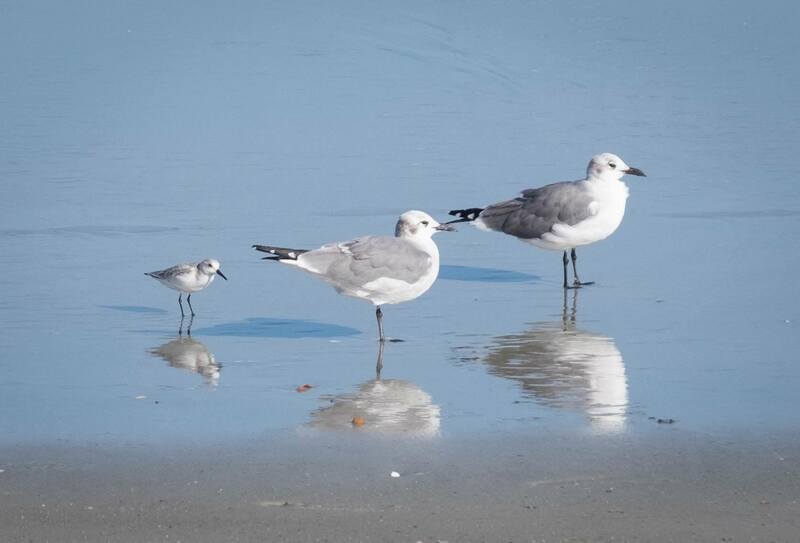 Also, I was delighted to see what I thought was a baby seagull for the first time in my life, only to be informed by my readers that it is, in fact, a sandpiper. As much as I love seafood, I’ve never been a big fan of crab. Perhaps it’s my New England roots. But as soon as I arrived on Tybee, my friends from Visit Tybee and Visit Savannah announced they were taking me to lunch at the Crab Shack! 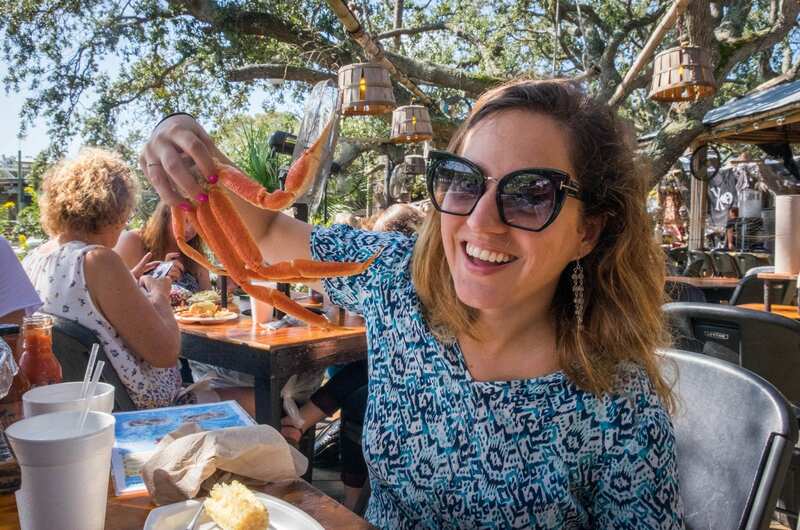 The Crab Shack is one of the big, casual (and yes, very touristy) restaurants of Tybee, most of it set in a deck overlooking the marsh. 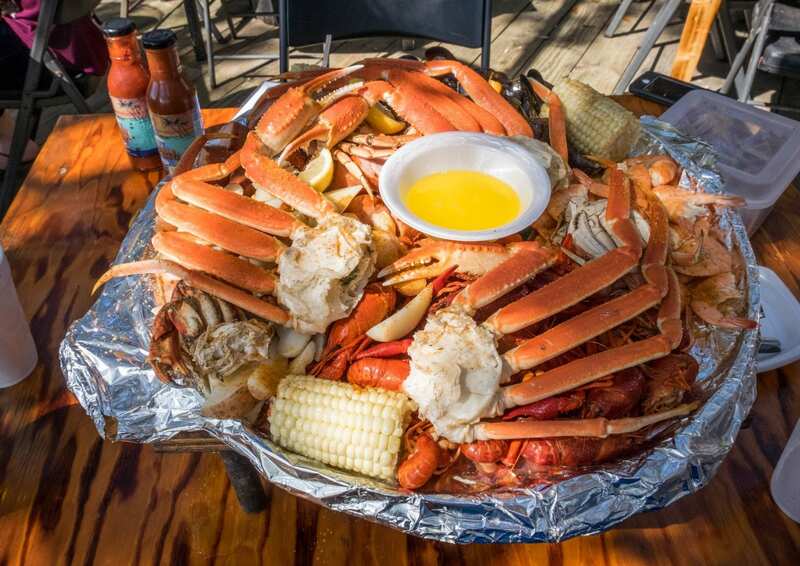 We decided to order the sampler plate for three: giant crab legs for each of us, plus shrimp, corn, mussels, sausage and crawfish that you twist in half before peeling apart and eating. And it was SO good, and no, we didn’t even come close to finishing everything, but the showstopper was the crab claws. I WOULD DO ANYTHING FOR THIS CRAB. However I’ve been eating crab my whole life, it’s been wrong. There’s nothing better than cracking those open and dipping them into melted butter. 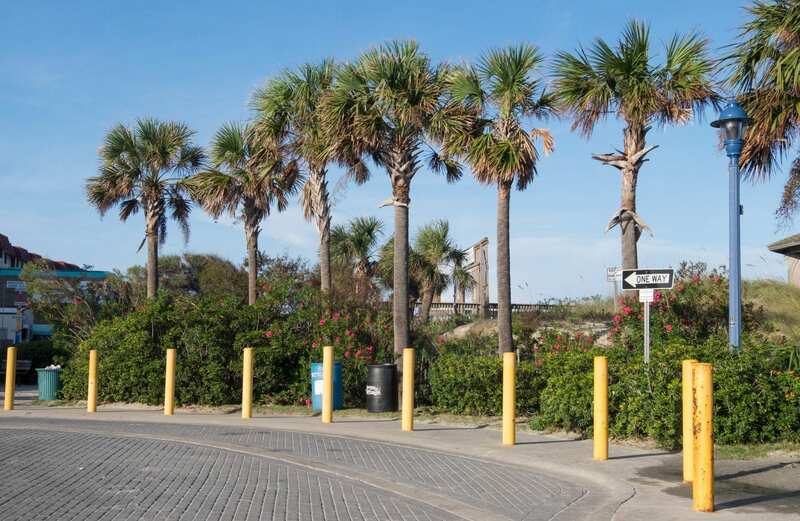 The first thing I noticed about Tybee was that it was almost chain-free. There’s a single Subway…and that’s it. No McDonald’s. No Starbucks. And it sounds like such a small thing, but that is an increasingly rare find in the States (not to mention something people are willing to pay money to enjoy). 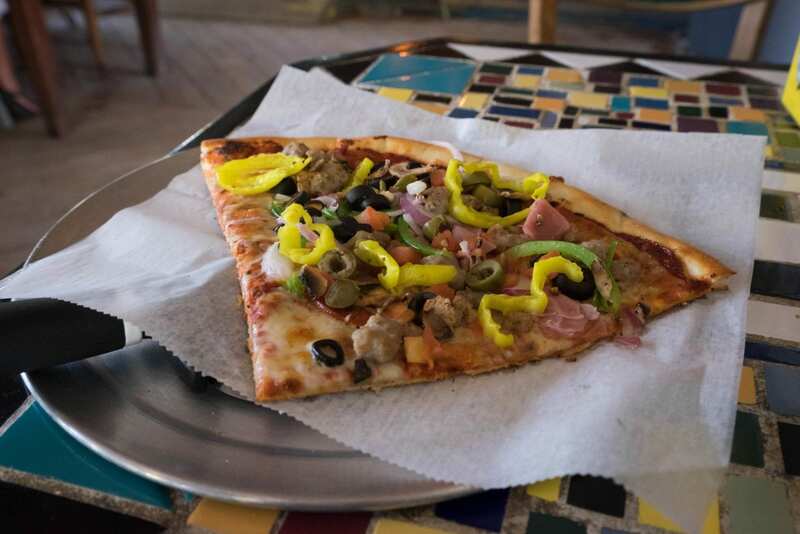 But who needs chains when you’ve got places like Huc-a-Poos, a kitsch-stuffed dive bar and pizza restaurant featuring all kinds of crazy slices, each of them roughly the size of your head, as satisfying as a meal, and costing only $4? 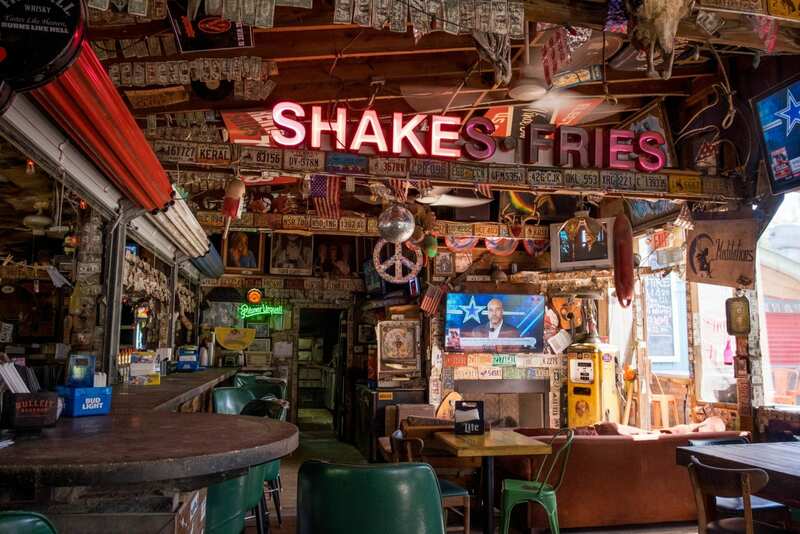 The chain-free atmosphere makes Tybee feel like it’s from a bygone era — a time when people knew the local business owners more intimately. 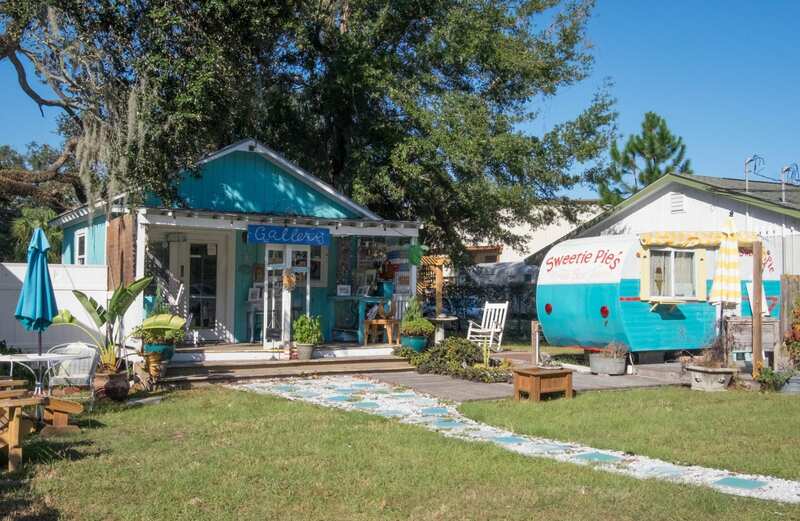 Tybee has an unpretentious feel to it. 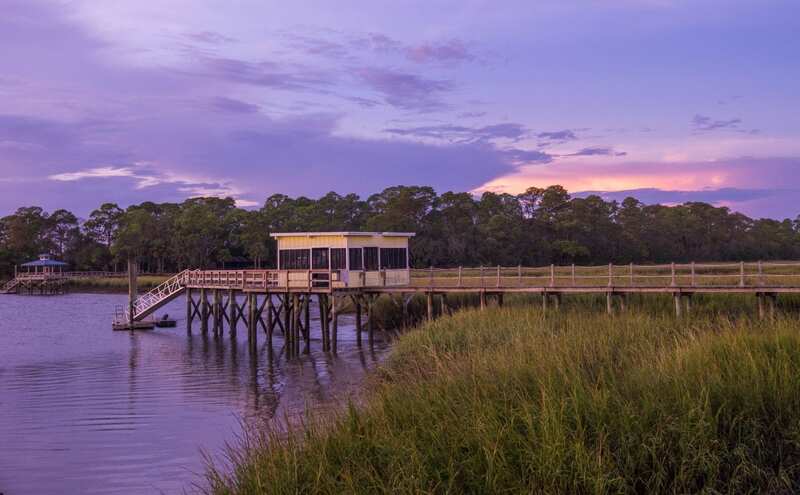 This is a down-home Southern destination with quirks in all the right places. 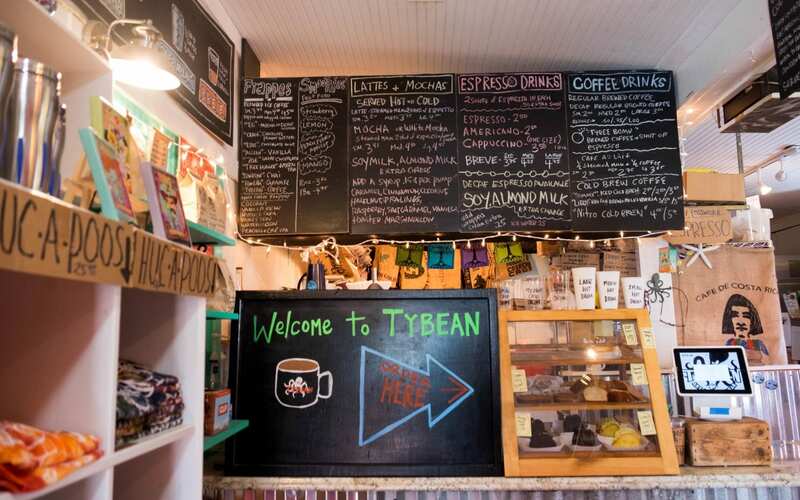 Tybee has a relaxed and unpretentious feel to it. The homes are beautiful, yes, and people take good care of them, but it’s also not out of place to put a surfing Ken doll on your mailbox. As I explored the island, places kept reminding me of different parts of the United States. 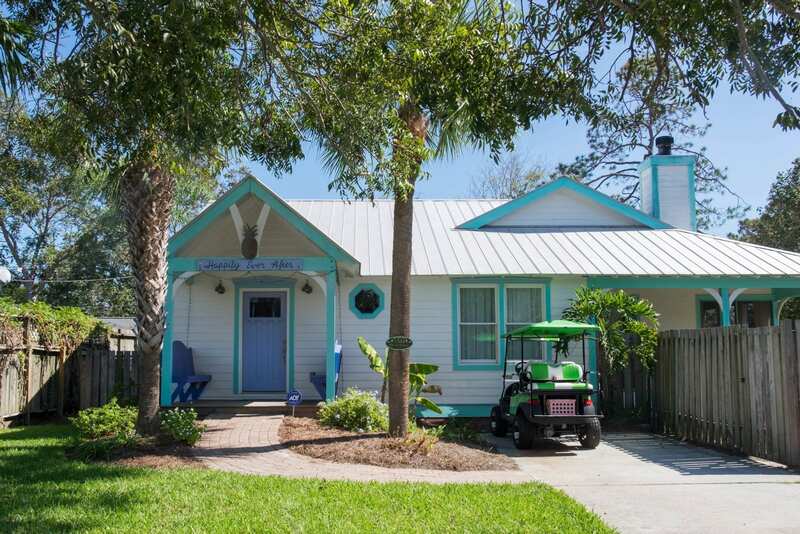 These little named houses reminded me of the cottages of Seaside, Florida. 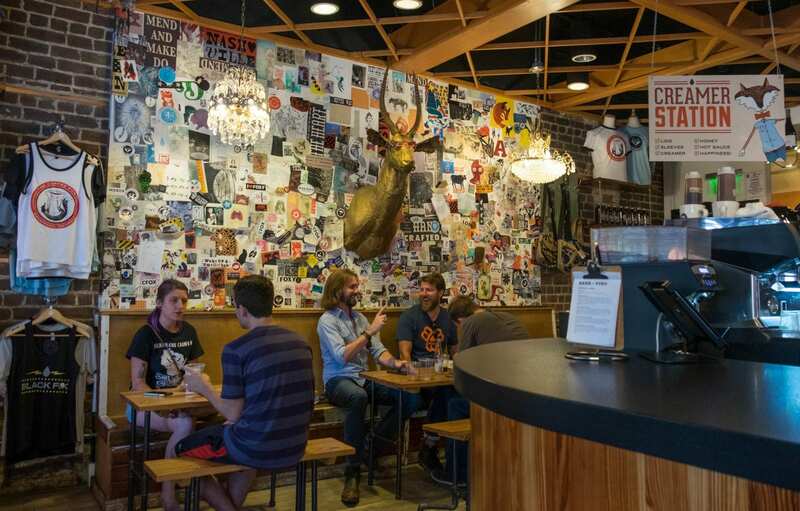 A restaurant like this could be equally home in Maine or New Hampshire. 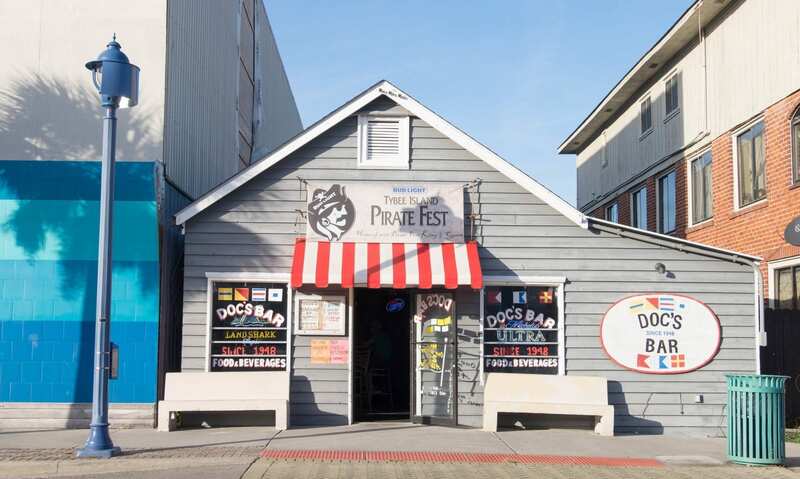 Any beach town in America, right here. 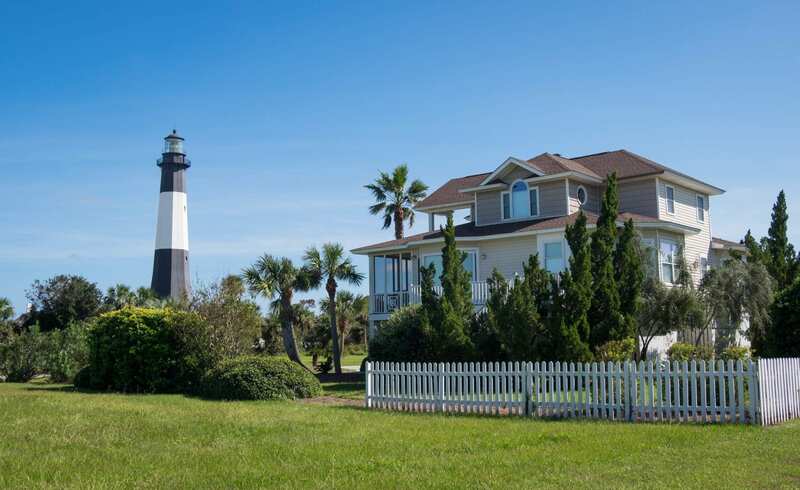 Tybee is home to a lighthouse and museum, and if you want to get a view of the island, head to the top of it! I love how this picture feels like a miniature. When you buy a ticket to the lighthouse, you also get admission to the museum, which is a monument to how the lighthouse keepers once lived. Worth a visit to check out the banisters shaped like lighthouses and the old-timey radio! 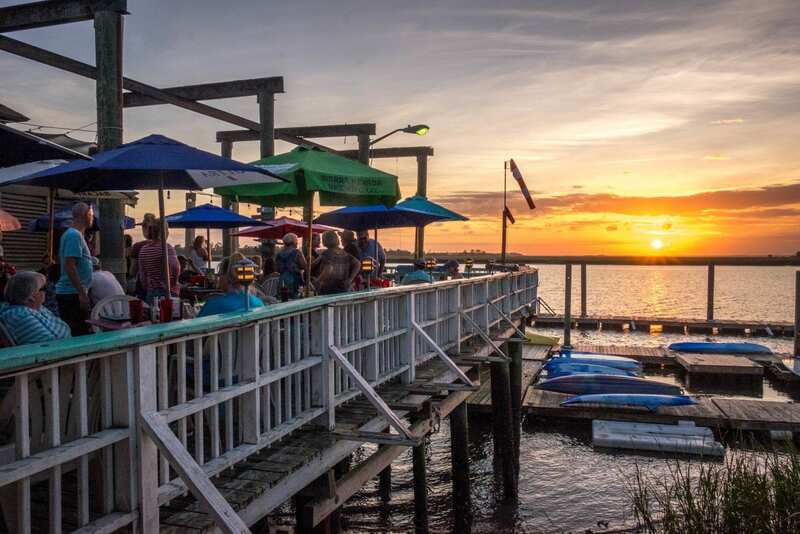 “AJ’s is the spot for sunset,” everyone told me when I started planning my trip. 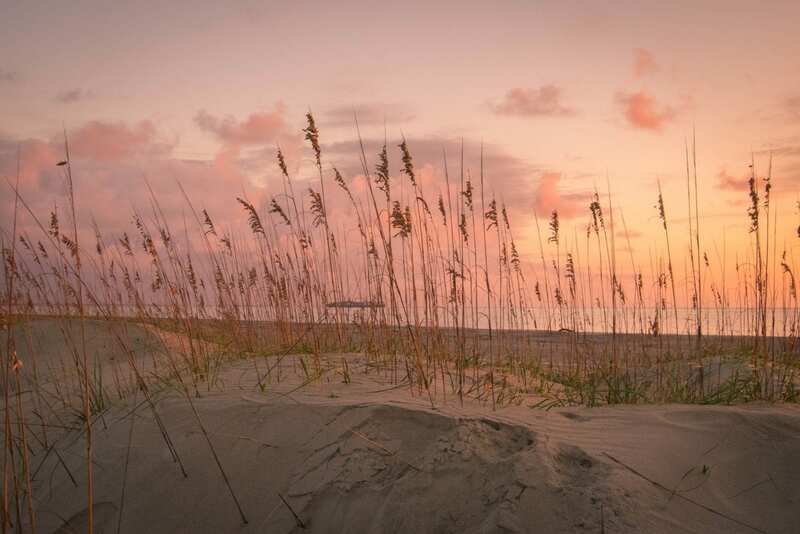 Tybee’s beach is along the eastern shore of the island, so the west is a mix of much smaller beaches, marshland, and grassy hills that grow right into the sea. There are lots of homes on the west side but few commercial businesses. 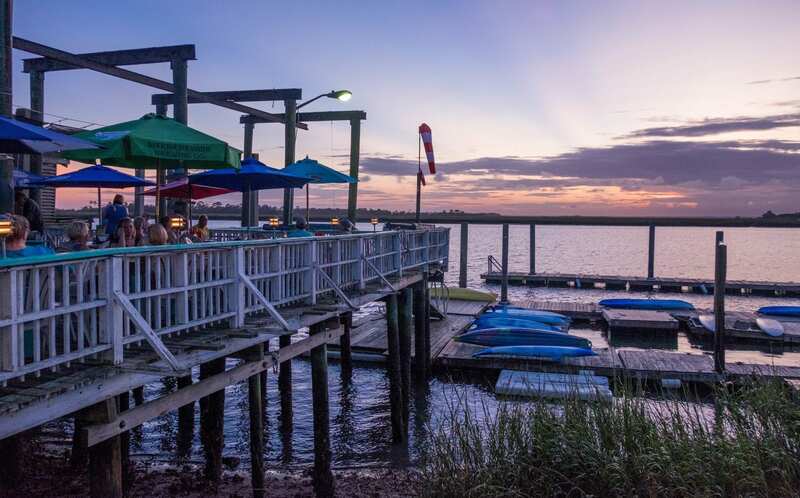 AJ’s is one of them — a casual restaurant perched above the shoreline, giving you gorgeous views. 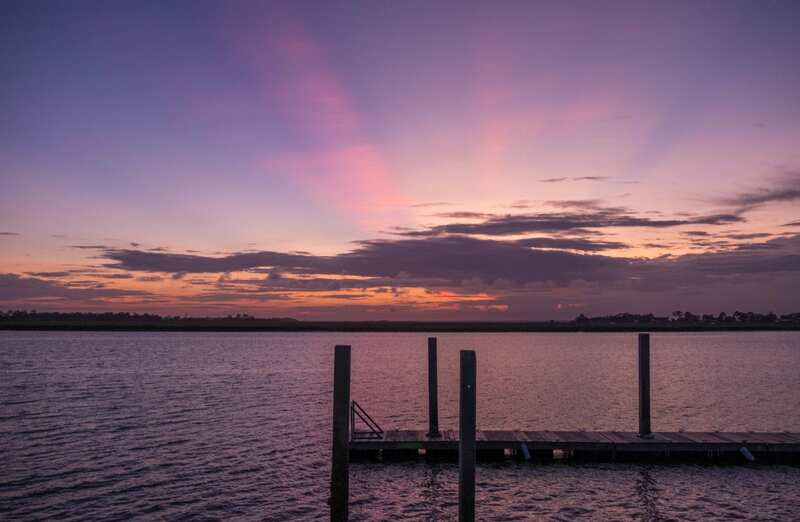 I sat down with a bowl of crab stew and a plate of fried flounder, watching the sky change before me. Not a bad first day on the island. 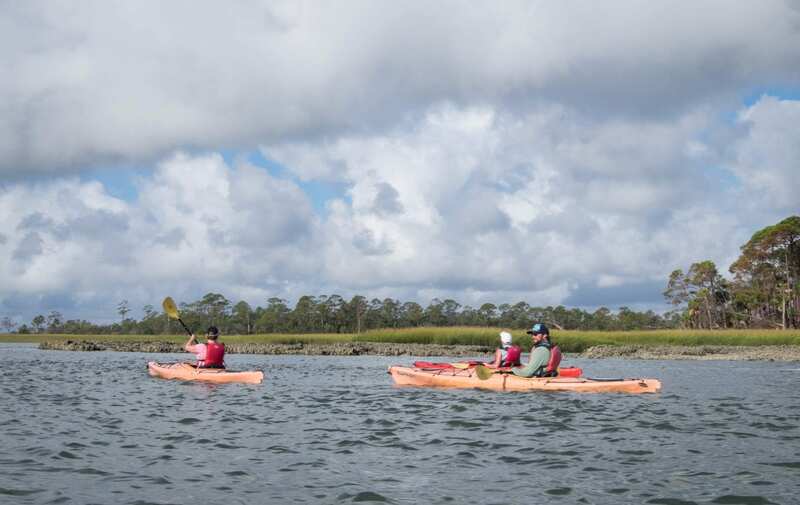 Sea kayaking is a popular activity off the shores of Tybee Island. I signed up for a half-day excursion with Sea Kayak Georgia, one of the local providers. 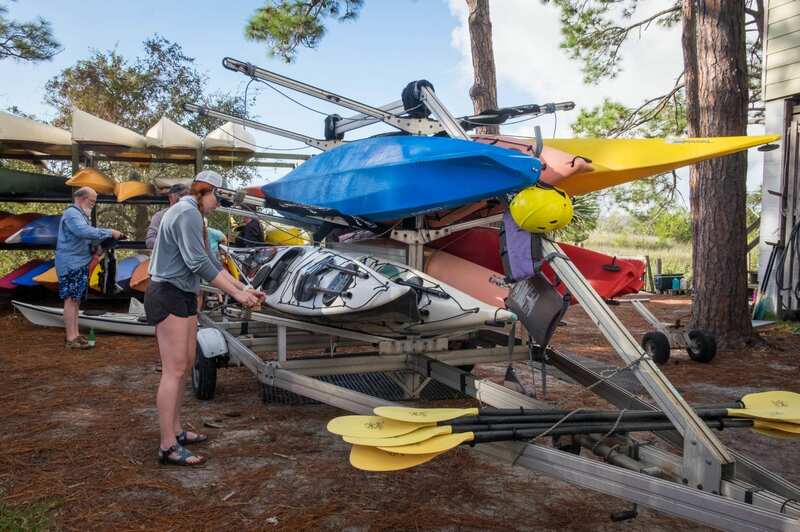 They also do SUP and canoe trips, and more intense kayaking trips for experienced sea kayakers. I’ve never done actual sea kayaking before, but this was a very easy way to start — for the most part, the water was very still, and it was only once we paddled out into the ocean that we had to deal with slight waves. Eventually we let the current take us back to shore — fear not the inadvertent roll! 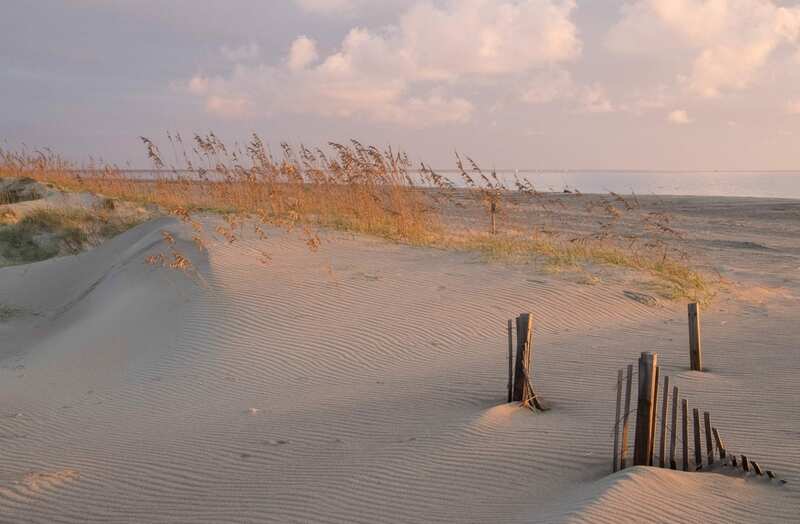 Little Tybee Island is an uninhabited island just southwest of Tybee, only reachable by boat. That didn’t stop us from running into a local gentleman and his very friendly dog! 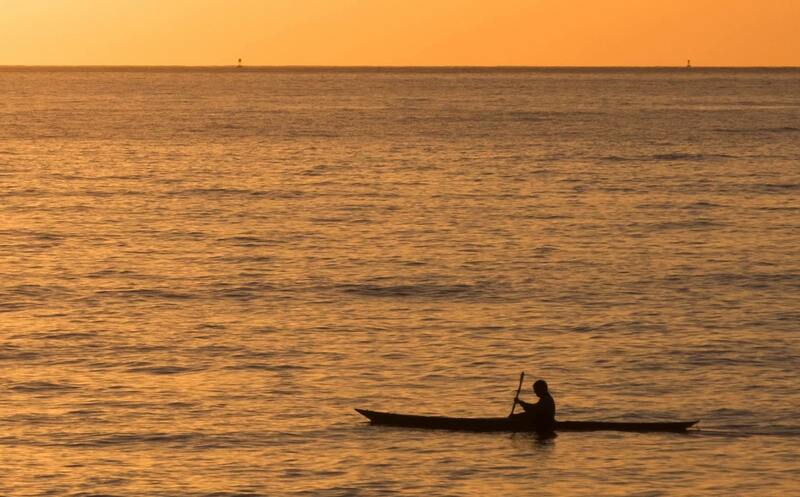 He had come out on his little boat and sat fishing, soaking up the sun, his long white hair flowing in the breeze. “Hello!” we called out as we slipped by. “Welcome to another beautiful day in paradise,” he replied. 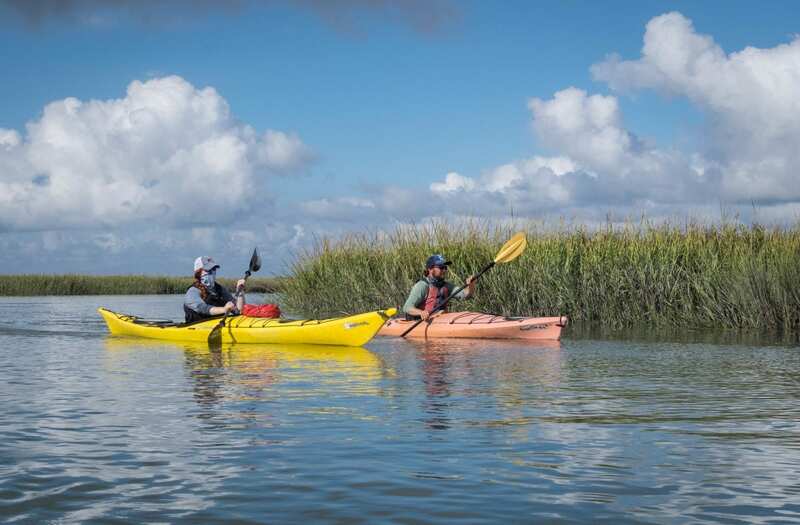 We would kayak into little inlets, carefully maneuvering around oyster beds and getting lost among the grasses. “If I got left behind, nobody would ever find me,” I remember thinking to myself. And, predictably, this is where I got messed up — I ended up kayaking straight through grasses taller than my height and got stuck! It took a lot of digging with the oars to release myself from the clench of the grasses. 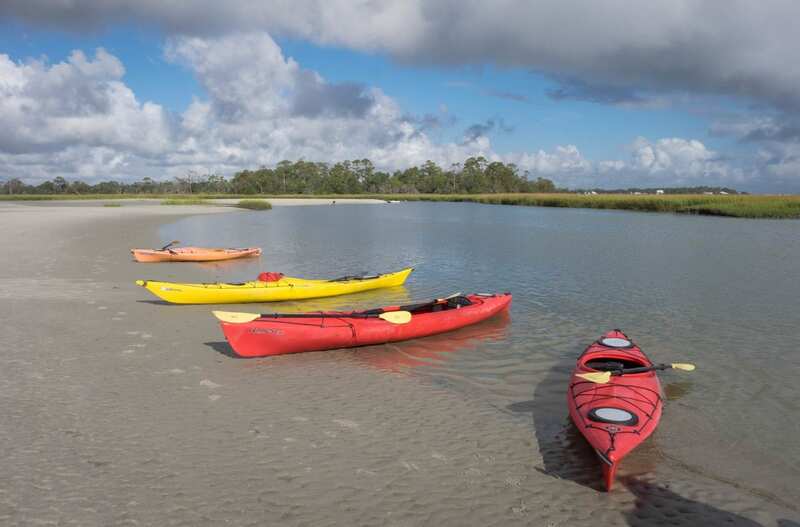 Kayaking was one of my favorite activities on Tybee. I loved getting to see the natural beauty of the island up close, and it was a perfect complimentary workout to all the biking I was doing. 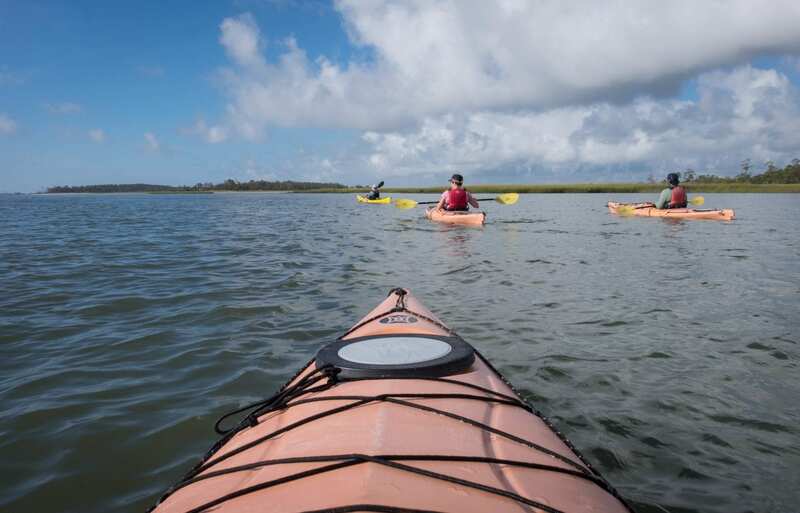 If you get the chance, you should make kayaking on Tybee a priority! The next festival is October 4-7, 2018. Arrrrrrr you ready? 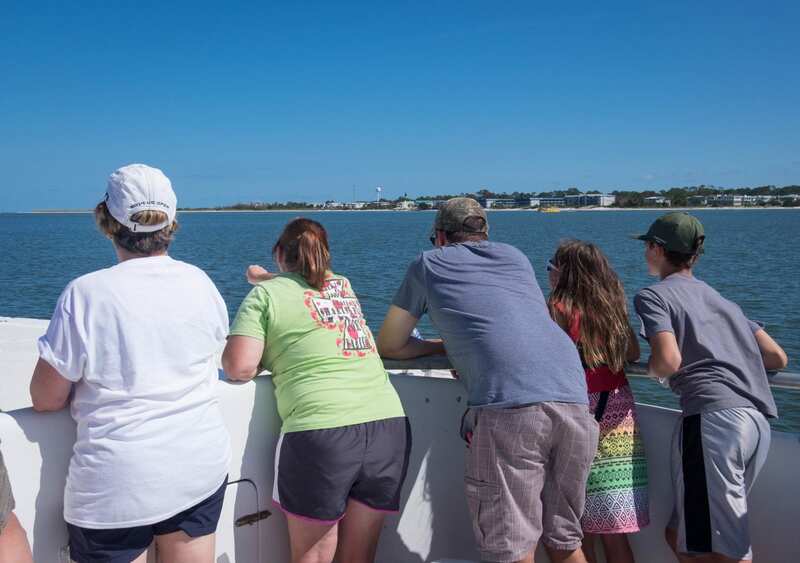 The waters off the north Georgia coast are filled with dolphins. 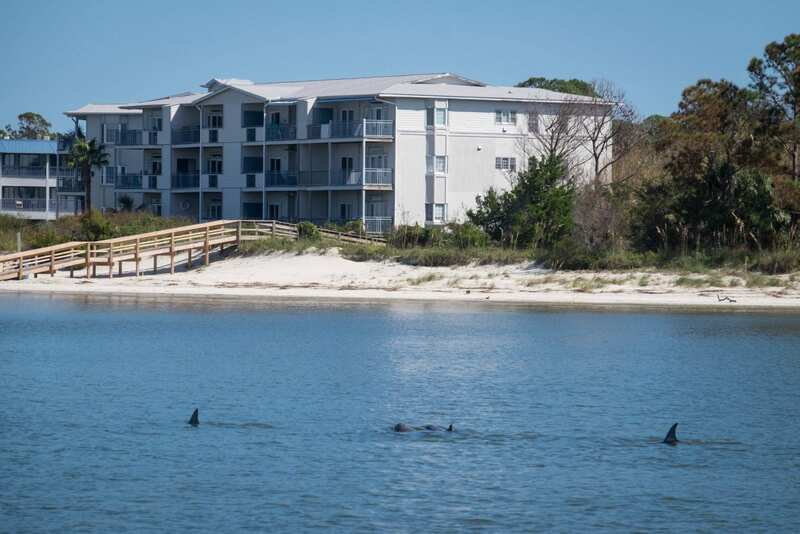 You can see their fins dipping in and out from shore, but you’ll have a much better view if you get out on the water. 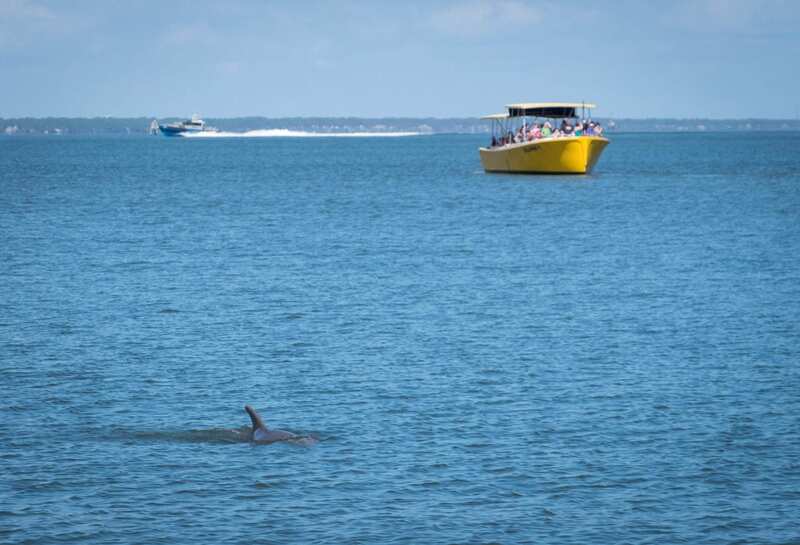 There are a few cruise providers in town and I went with Captain Derek’s Dolphin Adventure for a 60-90 minute cruise. 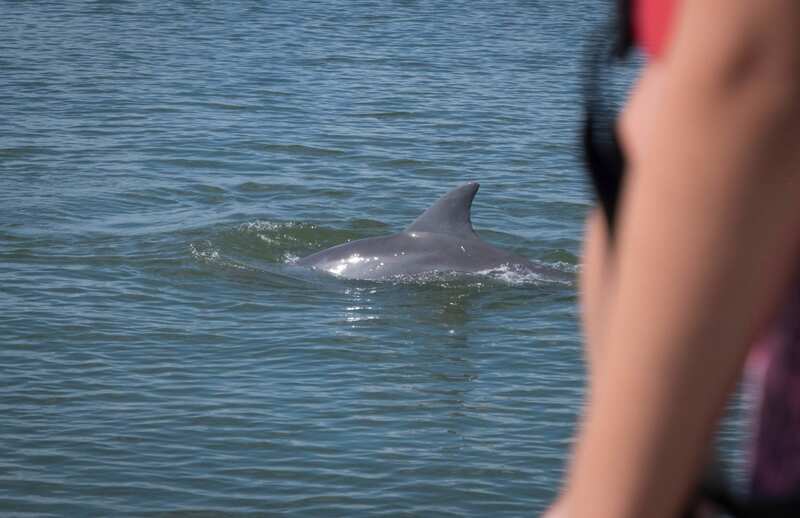 There’s nothing like seeing your first dolphin in the wild. For me, it was in South Africa, and I nearly burst into tears. And it’s kind of hard to replicate that feeling after you’ve already had it. They love to play. If you luck out, they might sidle up to the boat and do jumps out of the water. If you really luck out, you might see a baby with its mother! It’s pretty rare for me to see a sunrise. Gone are the days when I’m riding a camel across the desert or partying with Vikings until 8:00 AM; these days, I’m likeliest to see a sunrise in the back of a Lyft on the way to JFK, yearning to take a picture of the skyline but knowing it will come out terrible. 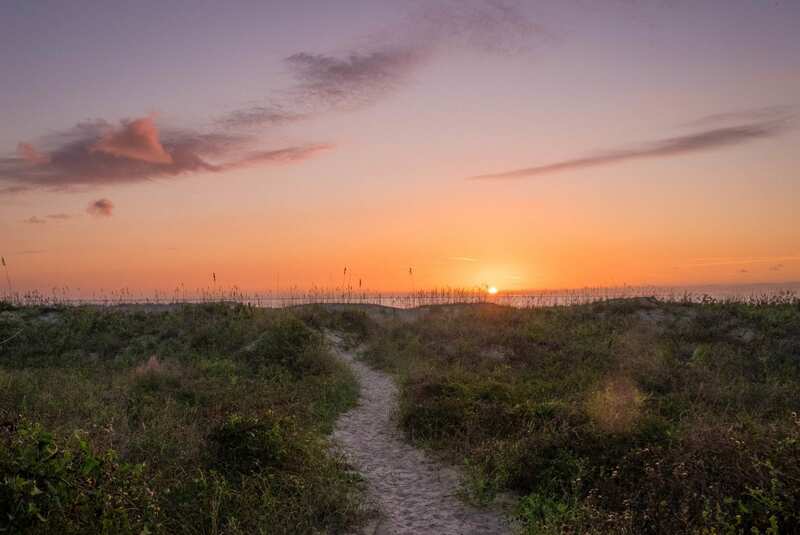 But time was on my side in Tybee — after several days of early wakeups, I was rising earlier than usual and awoke to brilliant sunrises each morning. It helped that the beaches were on the east side of the island. I think for this one, the pictures need to do the talking. In mid-October, the sunrise was it’s most colorful around 7:15-7:30 AM. Not too shabby. 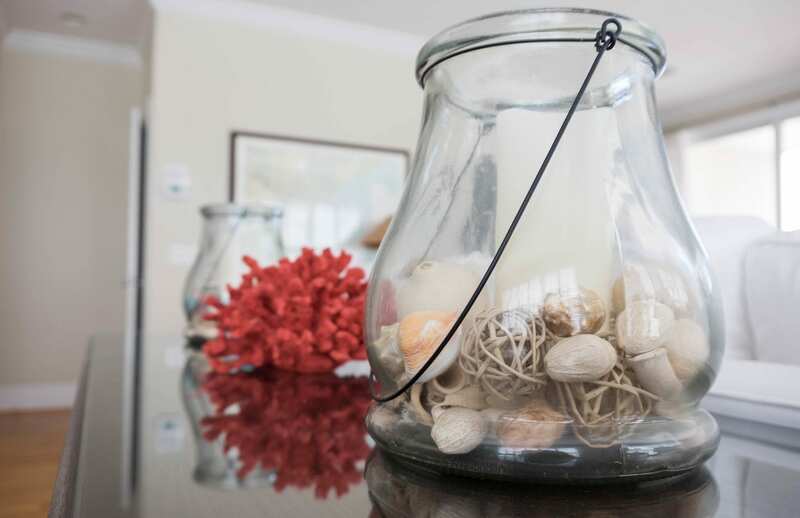 Some destinations are better for hotels — others, you’re better off getting a rental. 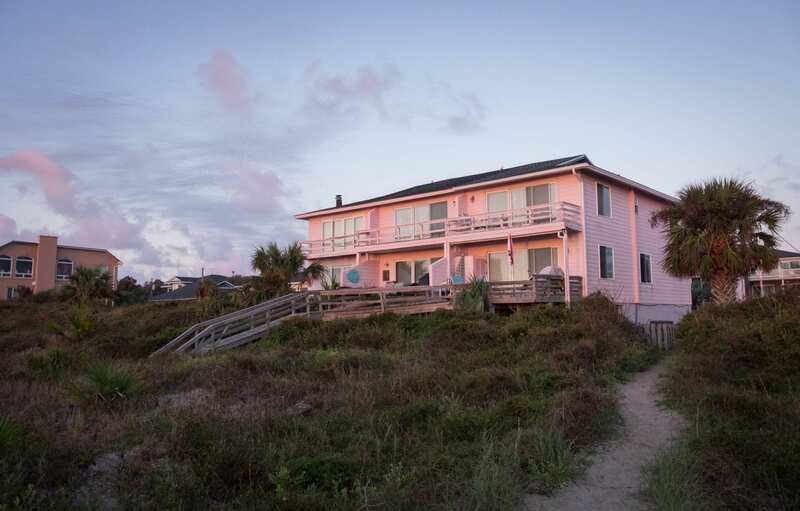 For Tybee, I definitely recommend a rental in the form of a beach house. 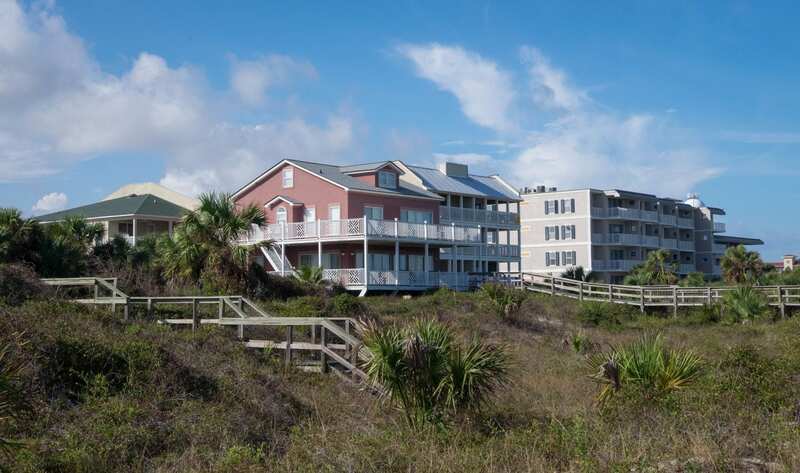 There aren’t many hotels, but beach houses dominate the landscape. 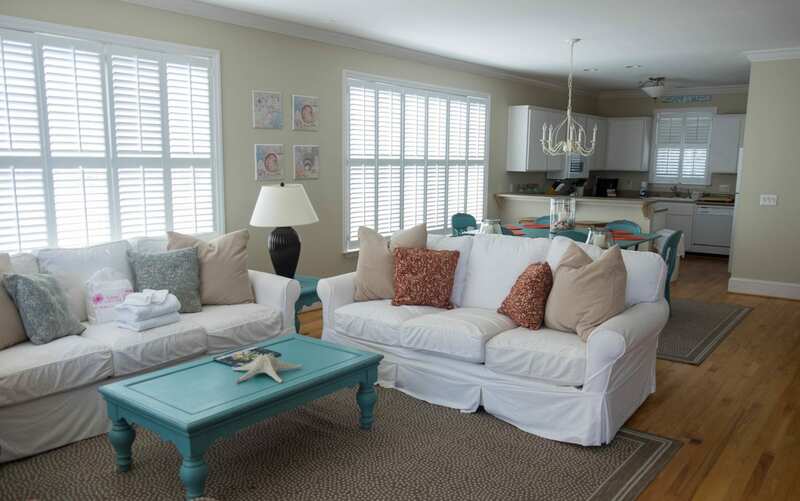 And staying in a house just fits the whole atmosphere of Tybee much better. 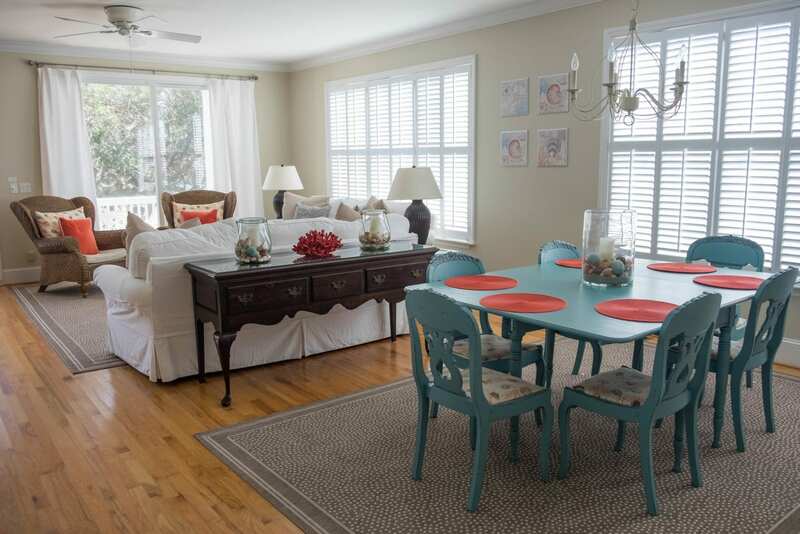 I had a giant three-bedroom house called The Sea Breeze from Tybee Vacation Rentals. No, I definitely did not need three bedrooms and three bathrooms as a solo traveler, but it was nice to see what was out there. This would be an amazing place to rent with a few friends. This house was filled with everything you could possibly need. One small touch I loved — each light switch was labeled. If you’ve ever rented a house or apartment, you know how long it can take to figure out which light switch goes to each light or fan. I wish more rentals did that. 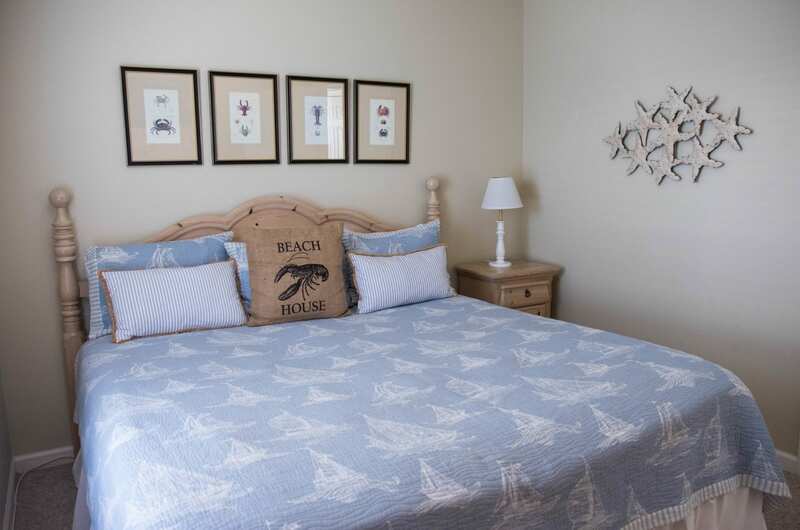 While technically not right on the sand, there is only one house between it and the beach, plus a private path from the street to the beach.. Beach views from the balcony outside the master bedroom are beautiful. 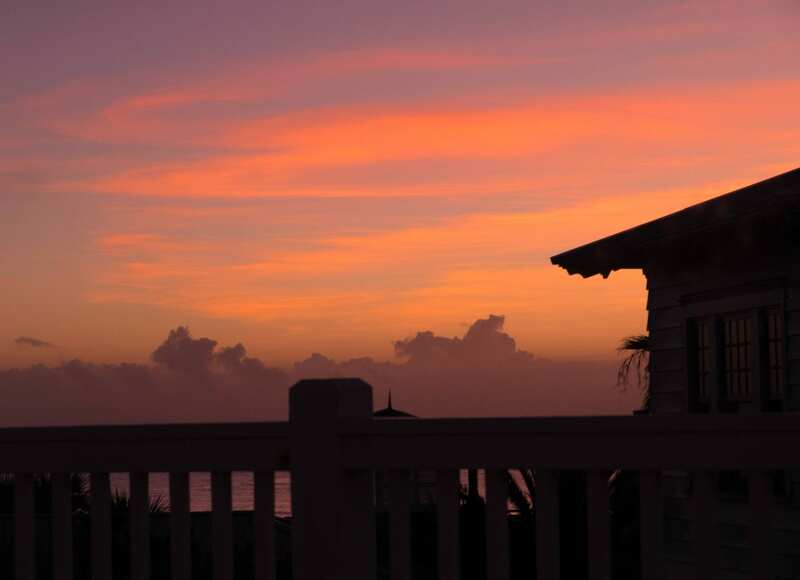 And THIS was the view of the sunrise from the master bedroom. I literally took this photo through the glass door without leaving my bed. As much of a low-key Southern town that Tybee is, I didn’t expect the eats to be on the posh side. The single best place I ate was called Sundae Cafe. Even in the shoulder season, it’s tough to get in — I had to eat at the bar — but it was so worth it. 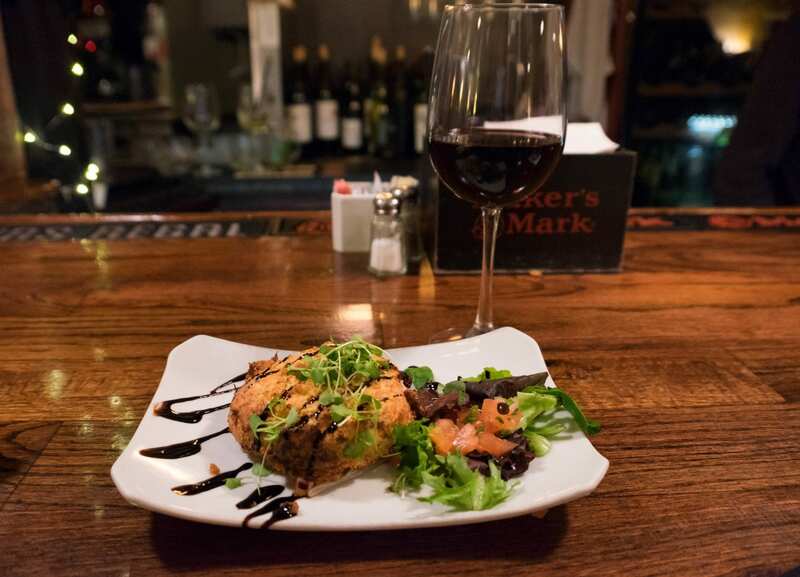 Pictured above is their seafood cheesecake, made with shrimp, crab, and gouda. I also had a gorgonzola-encrusted filet that blew my mind. Another hit was Tybee Island Social Club. I imagine this place is hopping during the summer with its party atmosphere, but it was very quiet during my October visit. I feasted on a skillet of manchego cheese with white wine and roasted garlic. Incredible. As was their carne asada taco and pineapple margarita. 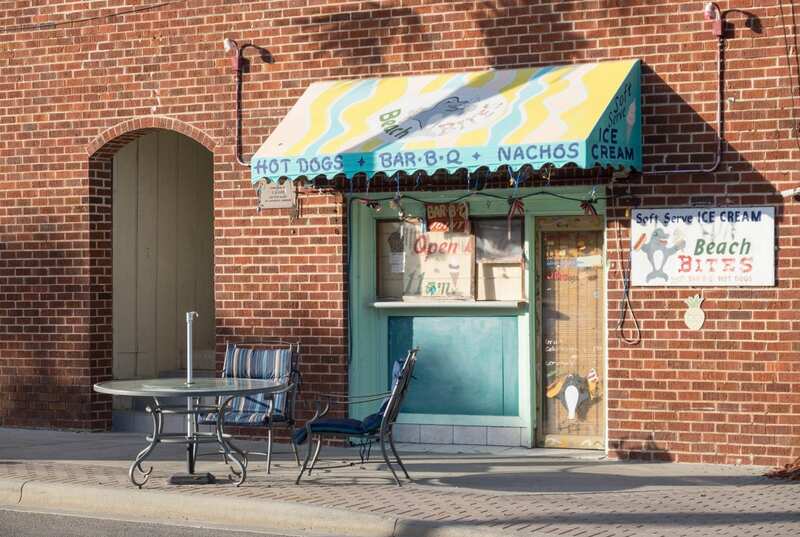 But if you want some down-home eats, there are plenty of good spots. 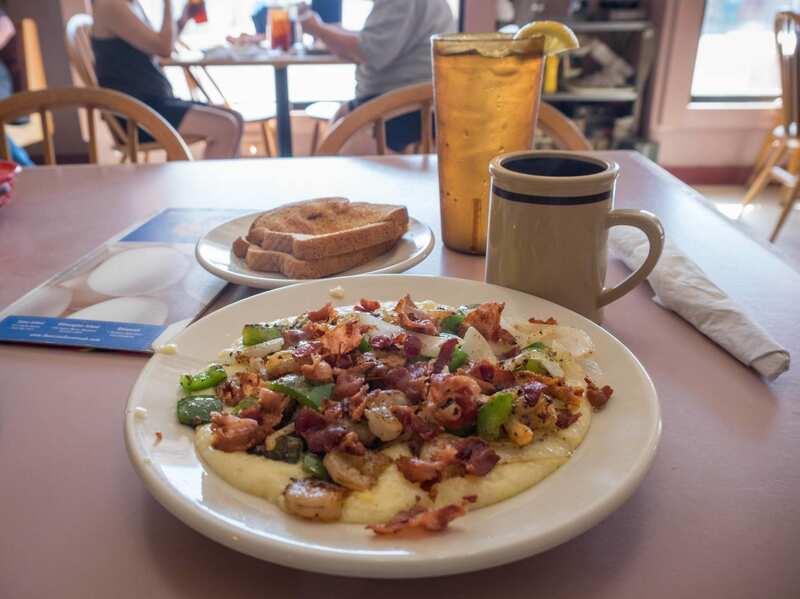 I got these shrimp and grits at Sunrise Restaurant, and don’t forget the giant pizza slices at Huc-a-Poos or the diner fare with sunset views at AJ’s. One place that several people recommended me was The Breakfast Club, but unfortunately their AC broke on the day I planned to visit and they closed. 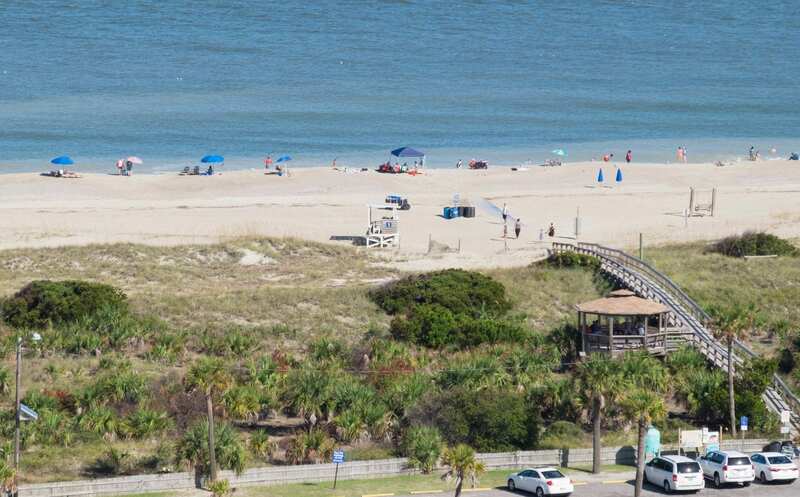 Tybee is just a 20-minute drive from Savannah. 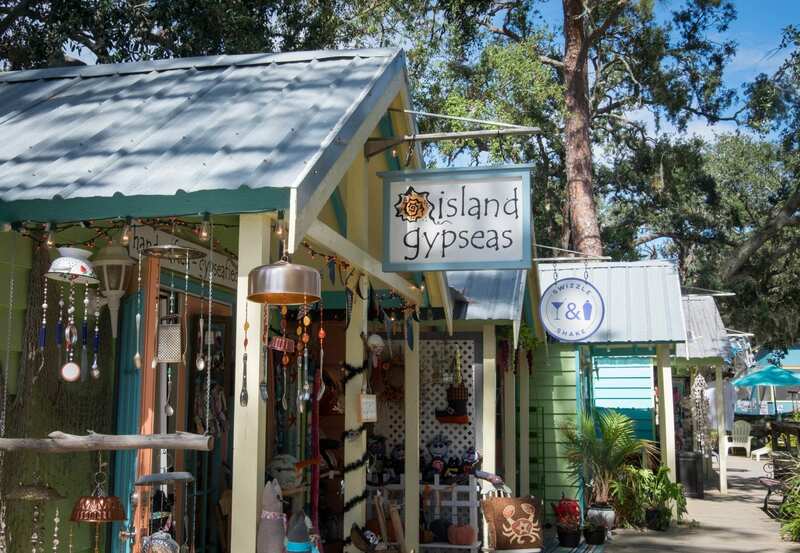 It’s so close, you must spend a day in Savannah during your time in Tybee! 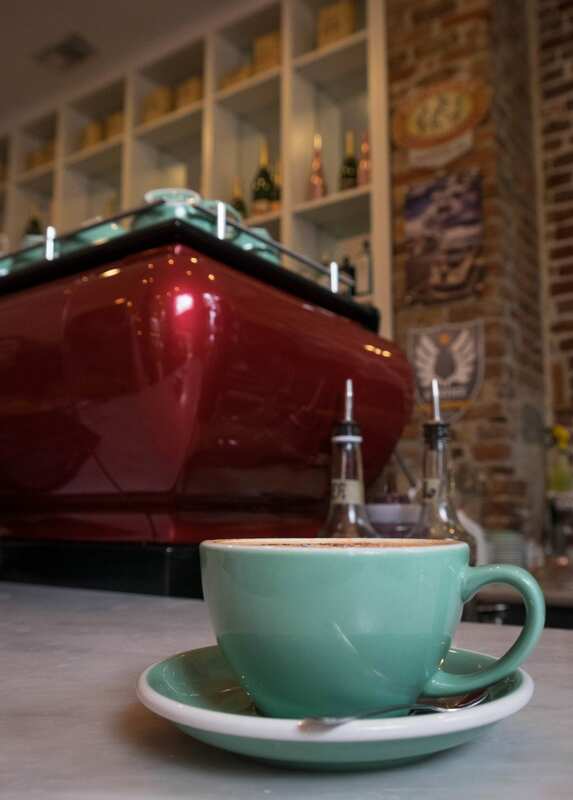 I’ve written a lot about Savannah — see my list of 16 Reasons to Fall in Love with Savannah — but just know that this city is magical. And unique. And whenever I meet someone abroad who says they want to do a big trip around the States, I try to talk them into adding Savannah to their itinerary. On this trip, I only had a day — so I hit up my favorite spots as well as a few new places. Unfortunately, it rained most of the day, making it near-impossible to get good photos, so I stuck to indoor photography. Lunch at Mrs. Wilkes’ Dining Room, of course — one of my favorite restaurants on the planet. 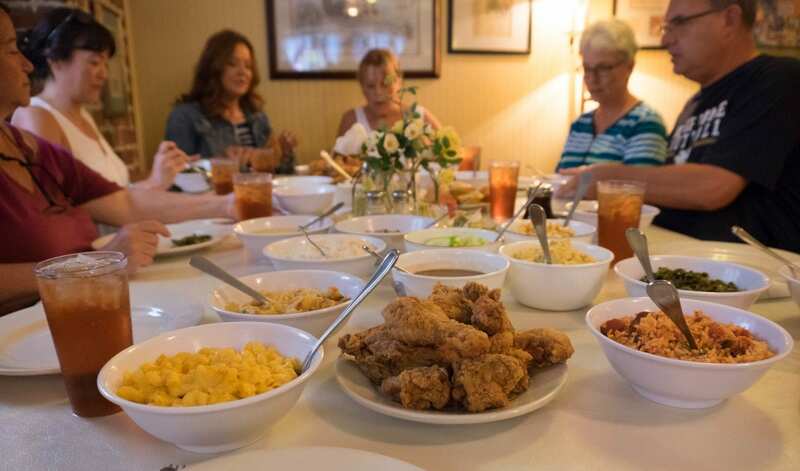 Platefuls of Southern dishes that will stick to your ribs, served family-style! Literally everything is outstanding, but I especially love the fried chicken, the cheesy potato gratin, the candied yams, the pickled cucumbers, and the banana pudding they bring around for dessert. Get there early and wait in line. Lunch Monday to Friday only. 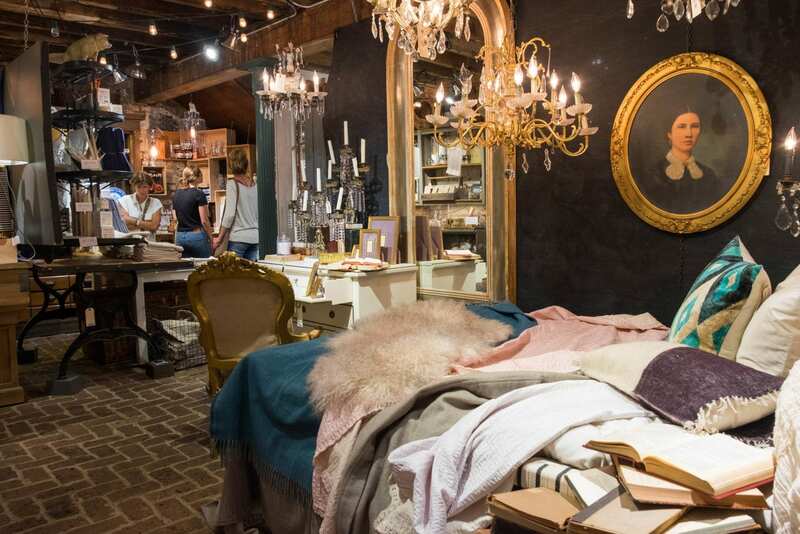 The Paris Market, my favorite store in Savannah, filled with all kinds of treasures for your home. I bought a decorative apothecary bottle full of matches that reads Ignite! on the side. Perhaps my favorite specialty coffee in the world is the lavender spiced mocha at The Collins Quarter. SO good. I did check out somewhere new — the Owens-Thomas House, one of the houses I hadn’t yet visited in Savannah. I remembered that the guide on my architecture tour last year said that if you visit any one house in Savannah, let this be the one. What a glorious place, and what a technological marvel for the time (indoor plumbing!!). And a connection for Hamilton fans — Lafayette stayed here when he returned to the United States as an old man. 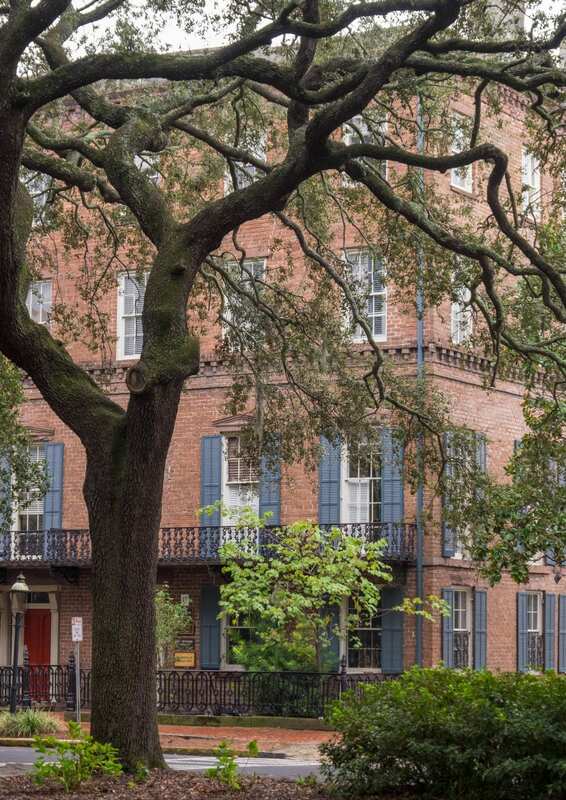 He gave two addresses to Savannah while visiting; some historians believe he gave them from the Owens-Thomas House balcony. I had to sneak in one more coffee place — The Coffee Fox, which I had often heard recommended but had never visited, despite it being in the heart of town on Broughton St. I loved my horchata latte. It was a lovely wisp of a day in Savannah. If you’ve only got a few hours to spend there, that’s not a bad way to spend it. I’m so glad I finally made it to Tybee — and especially happy that I gave it more than the perfunctory day trip that I thought it deserved. 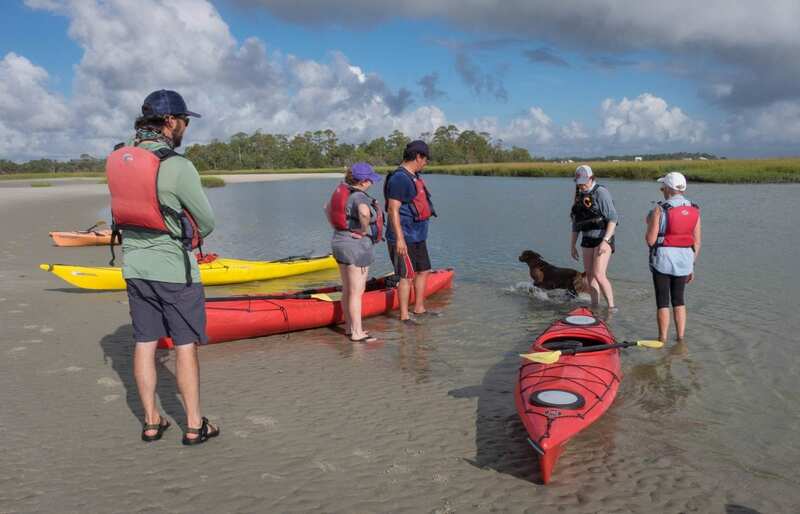 What I most enjoyed about Tybee were the nature activities — the kayaking and the dolphin-spotting — and that’s what I think makes Tybee special. 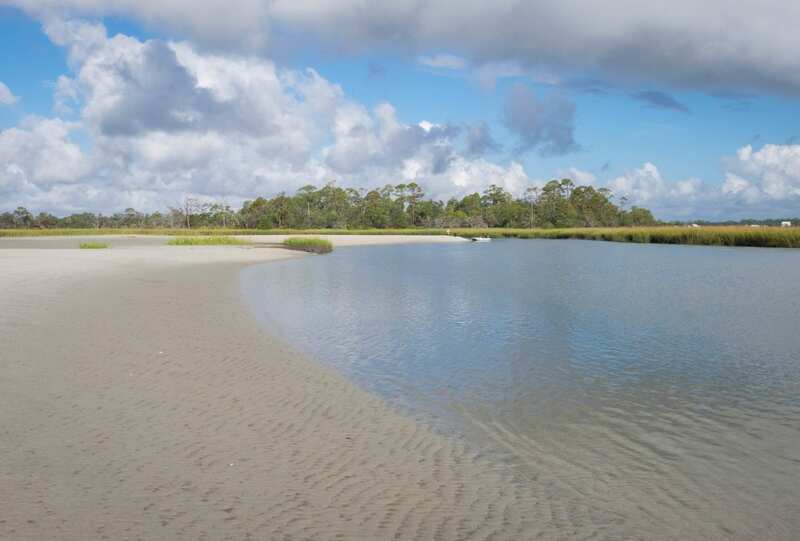 If I went back, I’d do more tours along those lines — like a lowland tour of the islands, including local Gullah communities, or a Tybee ecology trip. Also worth noting? 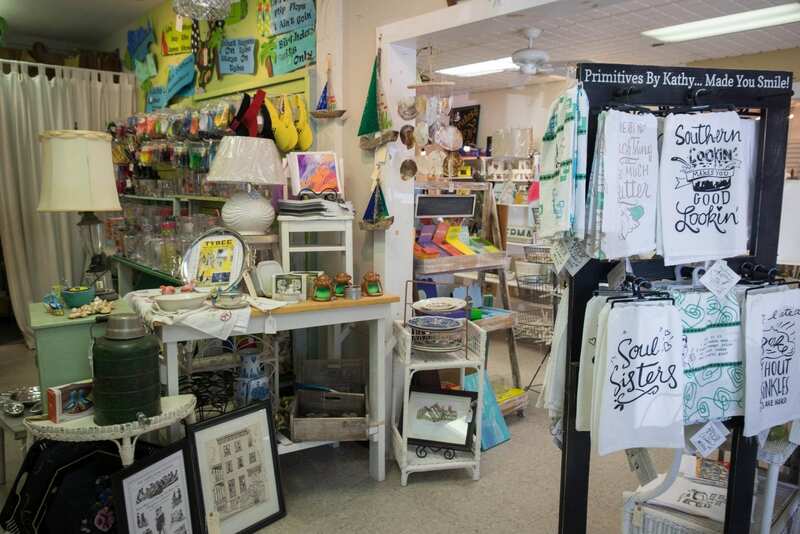 Tybee is a bargain. I kept expecting prices to be higher than they were and was pleasantly surprised again and again. 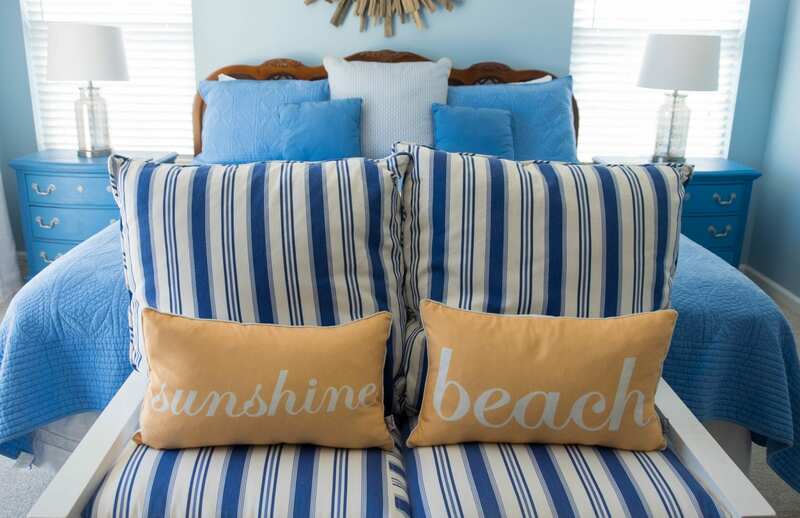 It’s not dirt cheap, but you get a lot more for your money than you would in more popular resort towns in Florida or New England. This was a really nice trip that got me an unexpected tan in the middle of October! I hope you enjoy it, too. 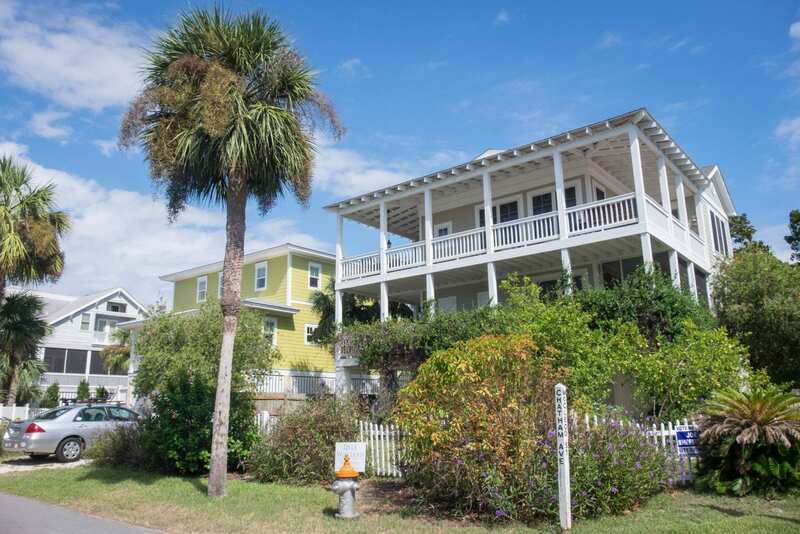 Essential Info: In Tybee I stayed at a giant three-bedroom house from Tybee Vacation Rentals. 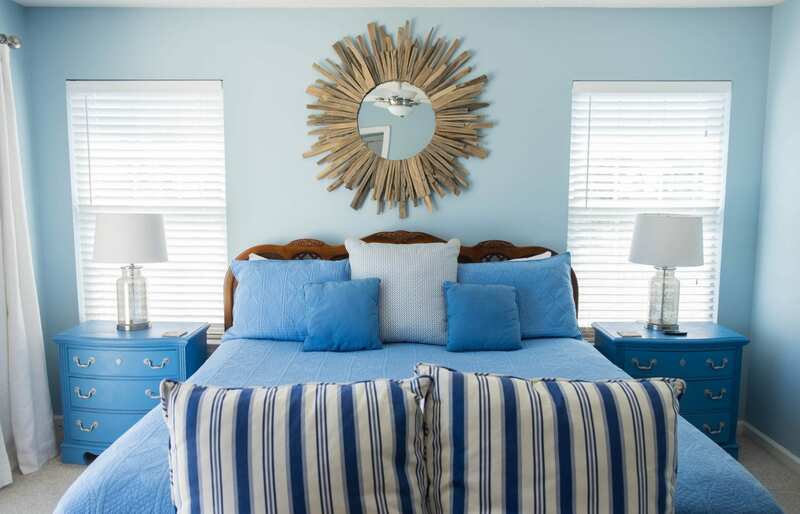 It’s called the Sea Breeze and you can see the listing here. 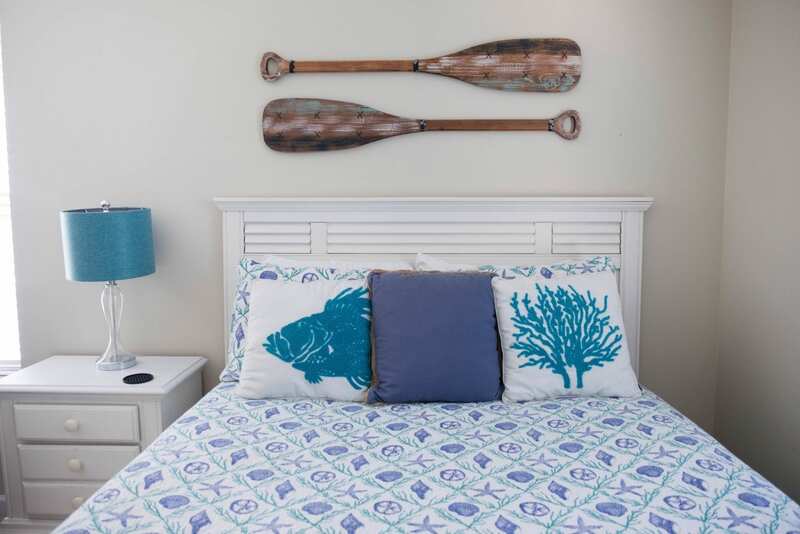 Shoulder season rates from $494 per night plus taxes, $45 guest services fee, and $215 cleaning fee. 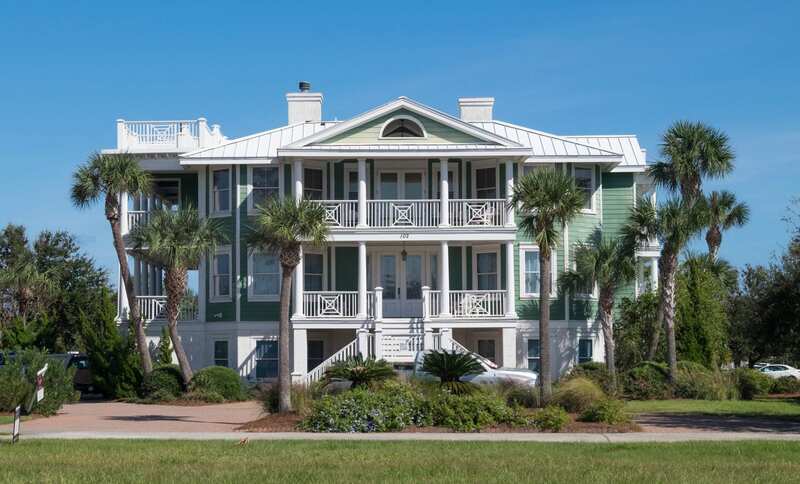 I recommend getting a rental in Tybee if you can, but if you’d rather have a hotel, check out hotel deals in Tybee here. 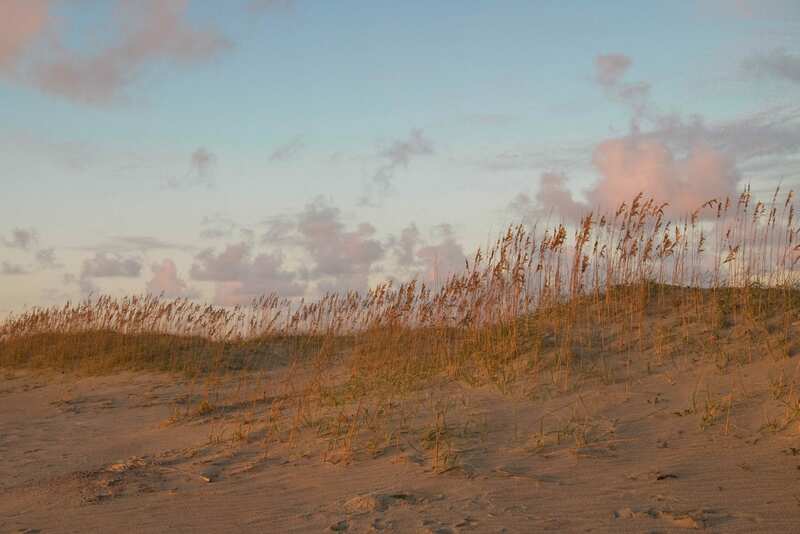 I got around Tybee Island with a bike from Tim’s Bike and Beach Gear. It was a simple one-speed bike, but it got the job done. Make sure you get a light. Rentals from $12 per day. 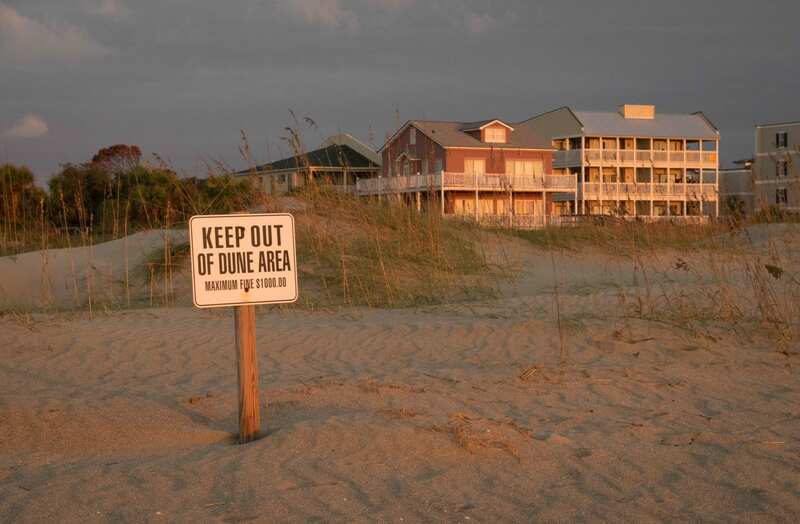 You can survive most of Tybee with just a bike, but do know that many of the streets are unlit at night. Especially keep this in mind if you’re going to AJ’s for sunset, as it’s pretty far from the main road. 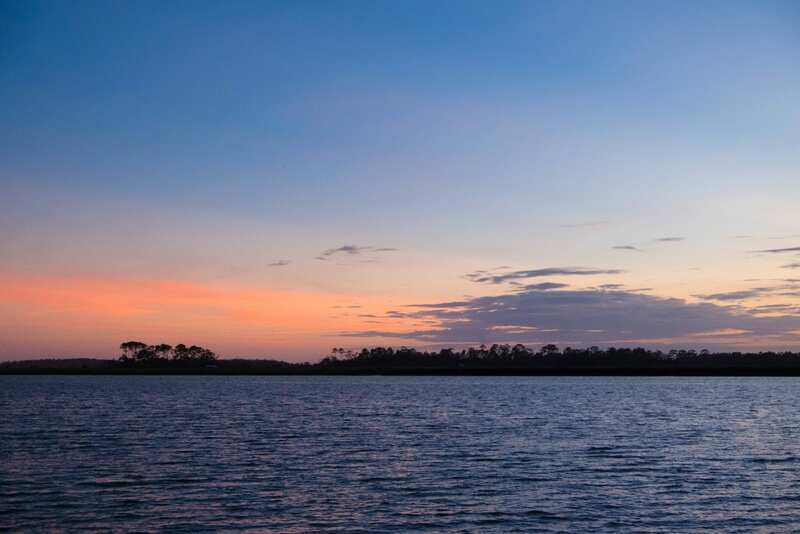 I left immediately after sunset and it was navigable — I was glad I didn’t linger. 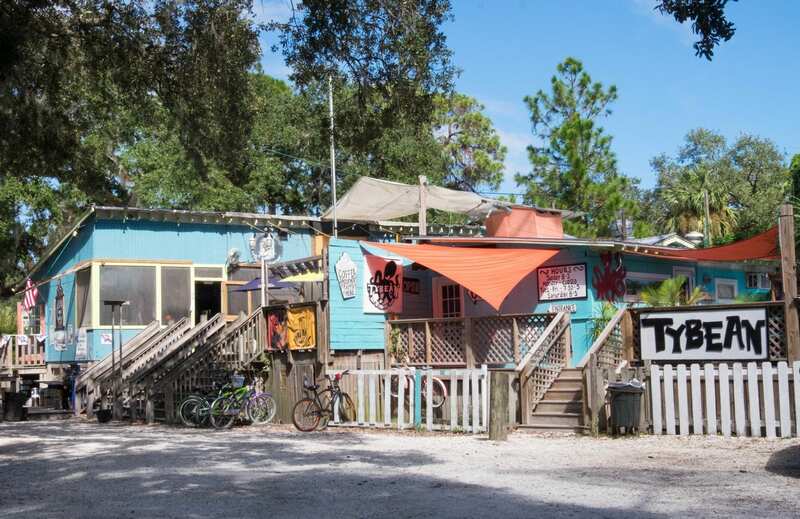 I also wouldn’t recommend biking all the way to Captain Derek’s Dolphin Adventure, as it’s pretty far from town and involves highway riding. 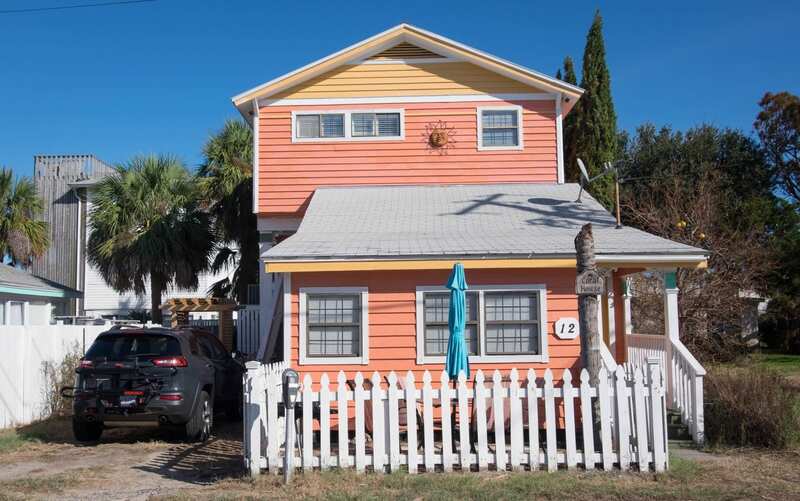 Uber and Lyft are only sporadically available on Tybee, so call a local cab if you need a ride. 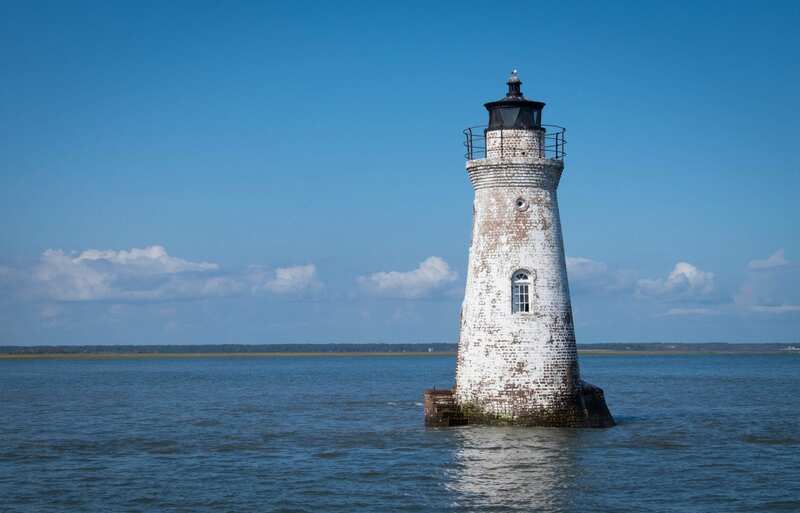 Visiting the Tybee Island Light Station and Museum (the lighthouse) costs $9. 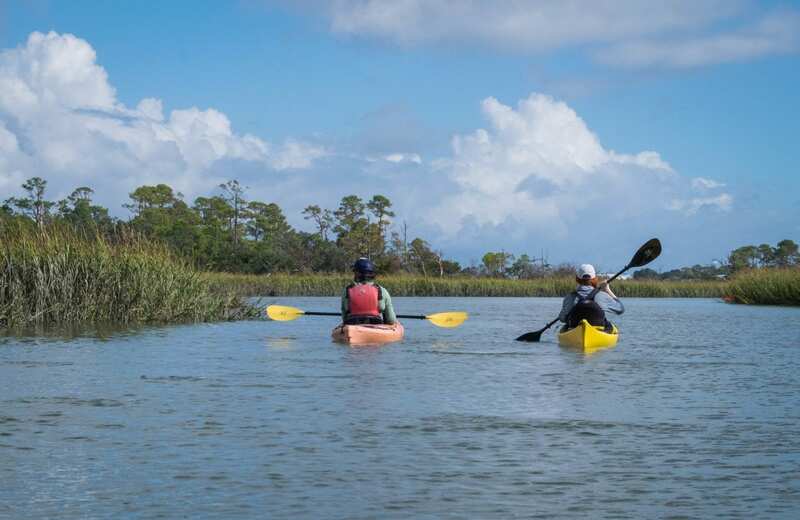 Sea Kayak Georgia offers a variety of kayaking trips, as well as SUP and canoe trips. I took the three-hour half day tour, which costs $55. Captain Derek’s Dolphin Adventure offers dolphin cruises for $15 or $18 for sunset dolphin cruises, which I think it a steal. 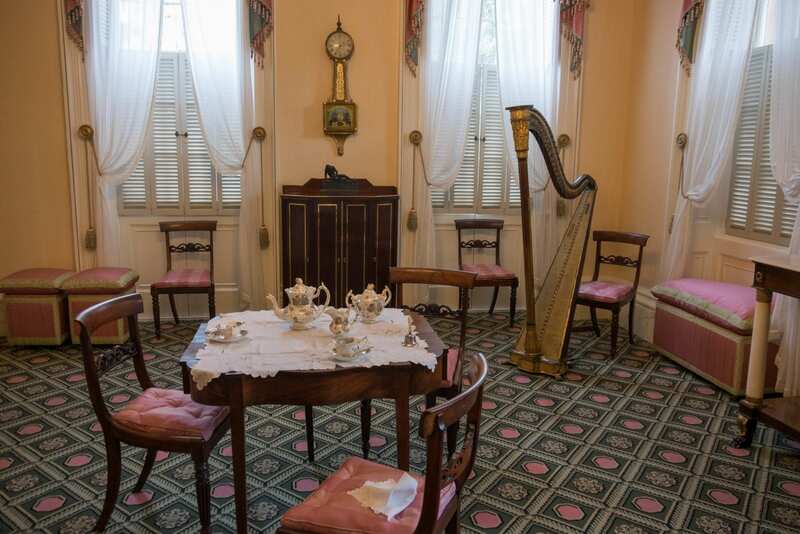 Admission to the Owens-Thomas House, which includes a tour, is $20. You also receive admission to the Jepson Center and Telfair Academy. 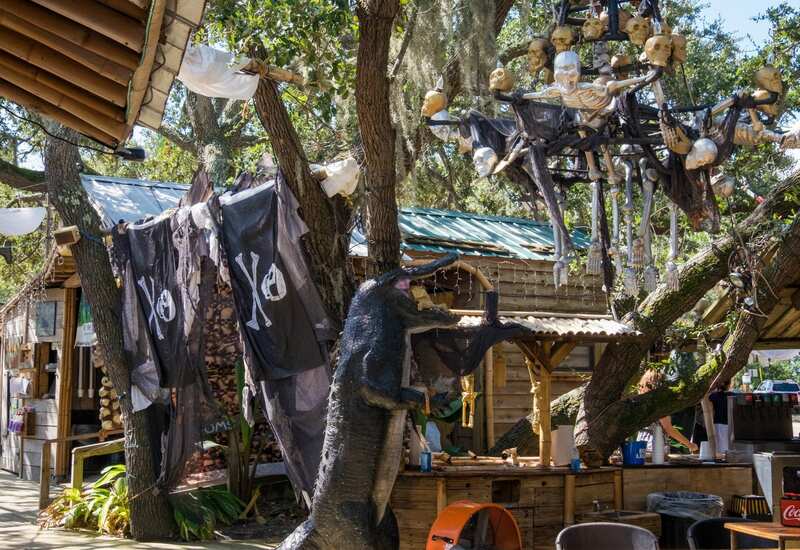 Even in October, it was still quite hot on Tybee and the sun was strong. 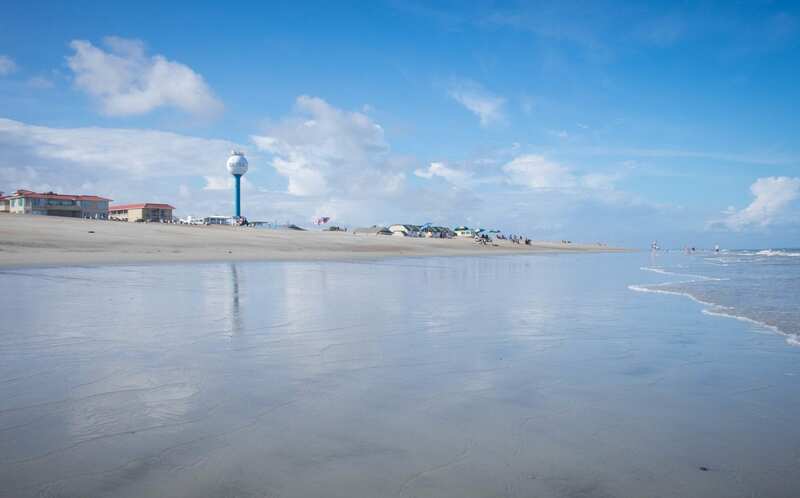 Be sure to hydrate, wear sunscreen, and treat Tybee like you would any other summer trip. Even if you’re staying in the United States, don’t travel without travel insurance. Whether you get appendicitis and need to be hospitalized, or your phone gets stolen, or an injury means you need to cancel all or part of your trip, travel insurance will help you in your time of need. 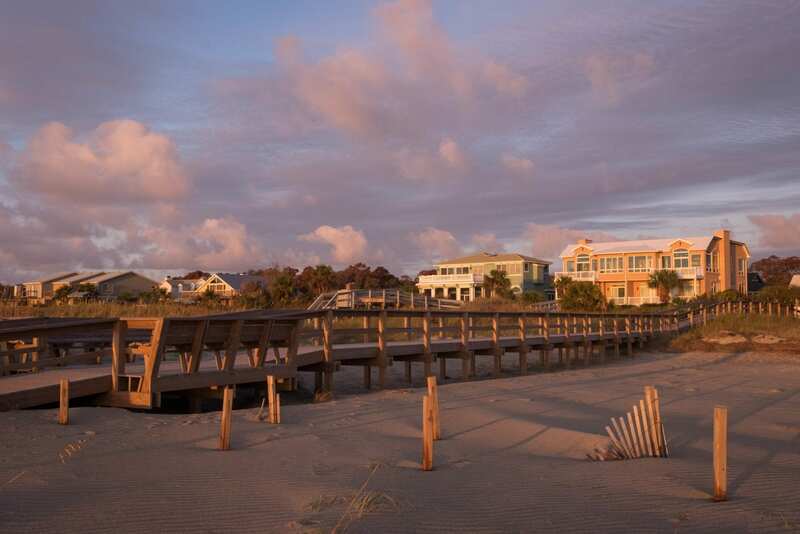 I use and recommend World Nomads as travel insurance for trips to Tybee Island and Savannah. 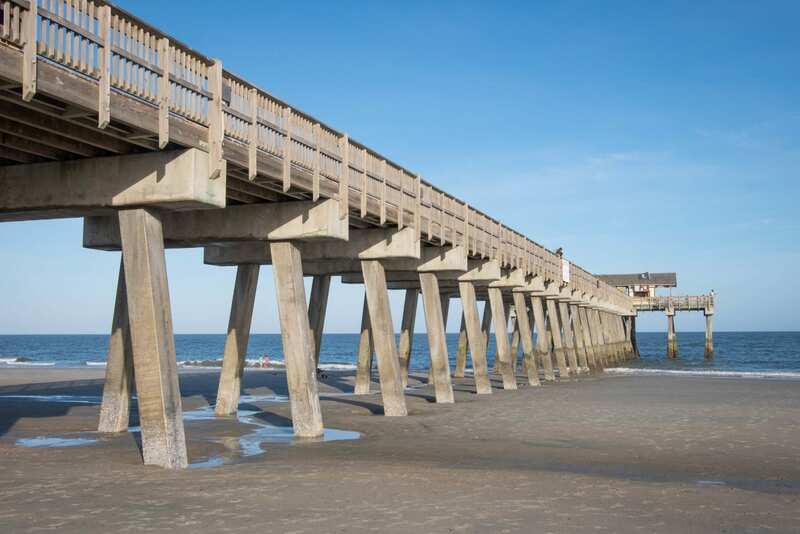 This post is brought to you by Visit Tybee Island, who covered my trip expenses in full including flights, accommodation, activities, and most meals, though I paid for a few cheap meals and incidentals out of pocket. All opinions, as always, are my own. 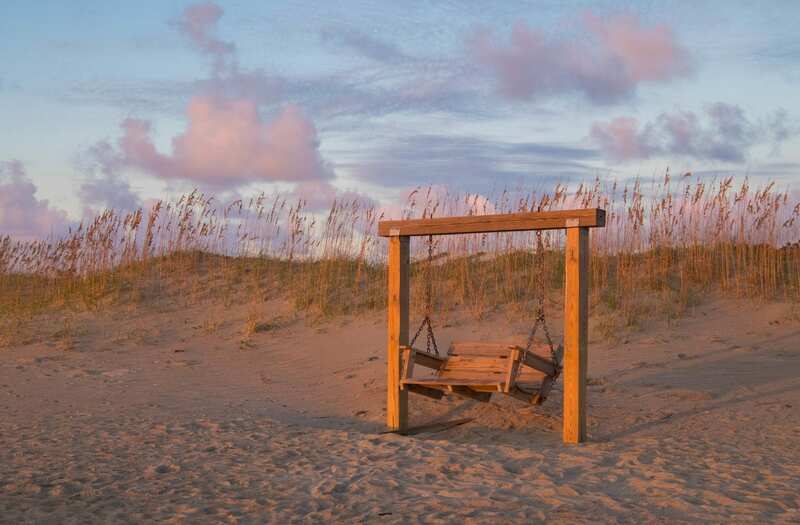 Have you ever been to Tybee Island? Does it look like your kind of destination? 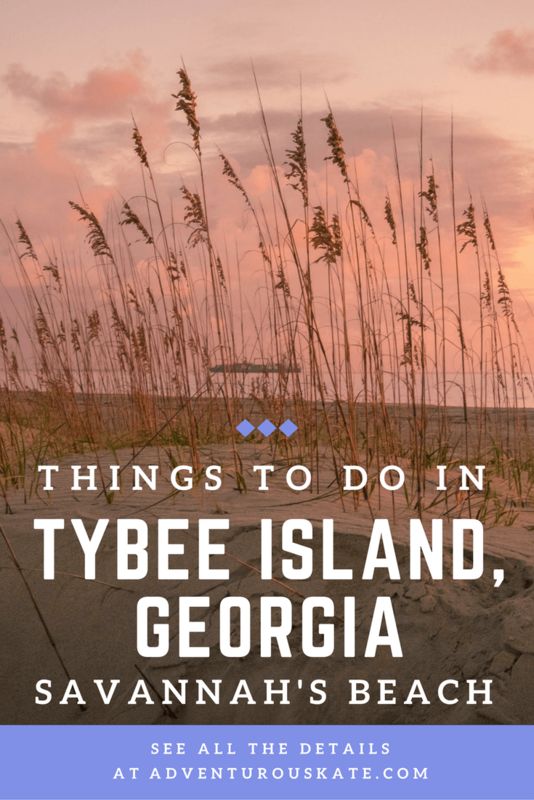 The post A Getaway to Tybee Island — Savannah’s Beach appeared first on Adventurous Kate.